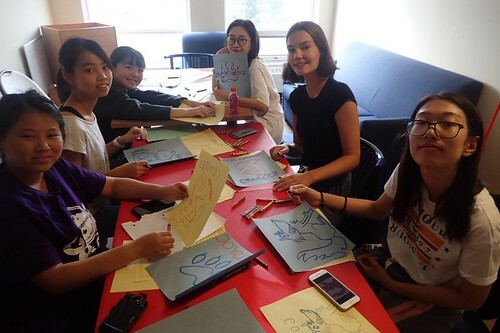 Today was a busy day for the Owls. 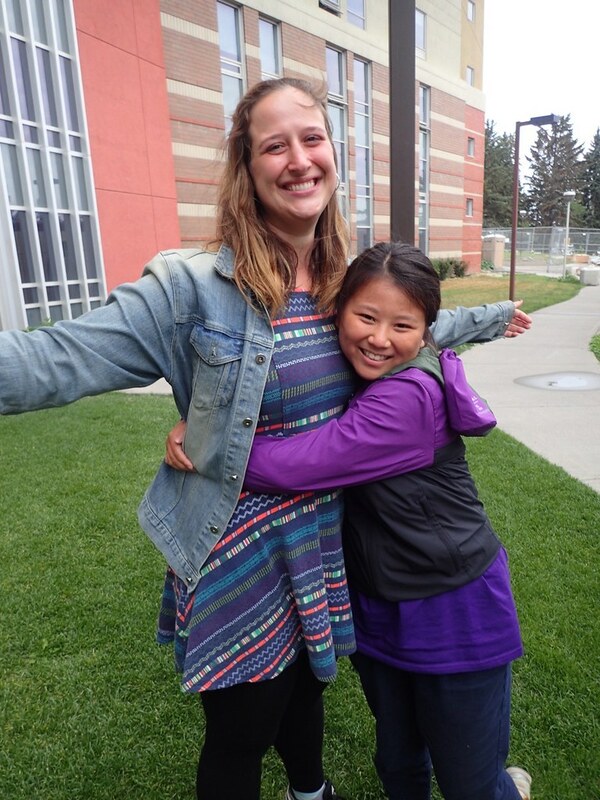 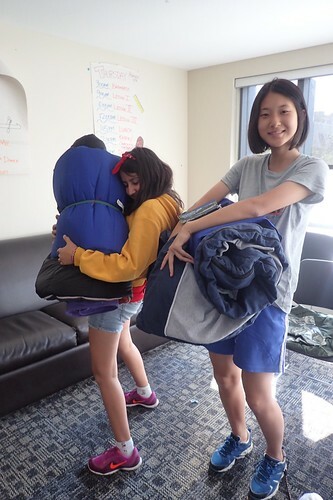 They woke up a little bit earlier this morning to get their laundry done. 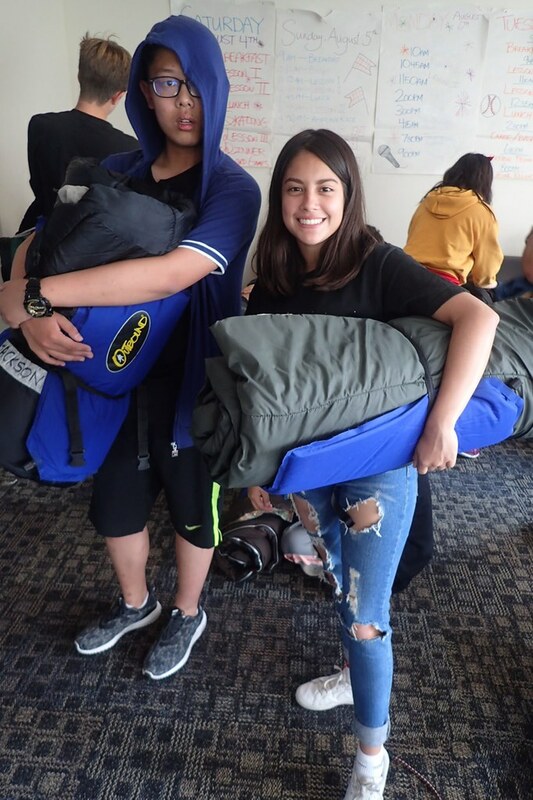 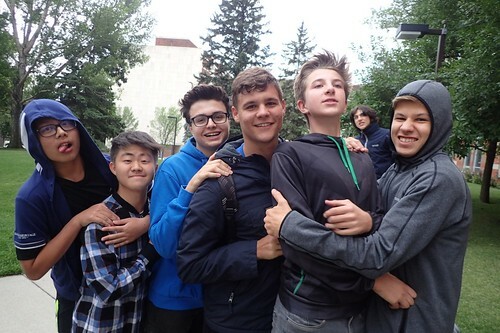 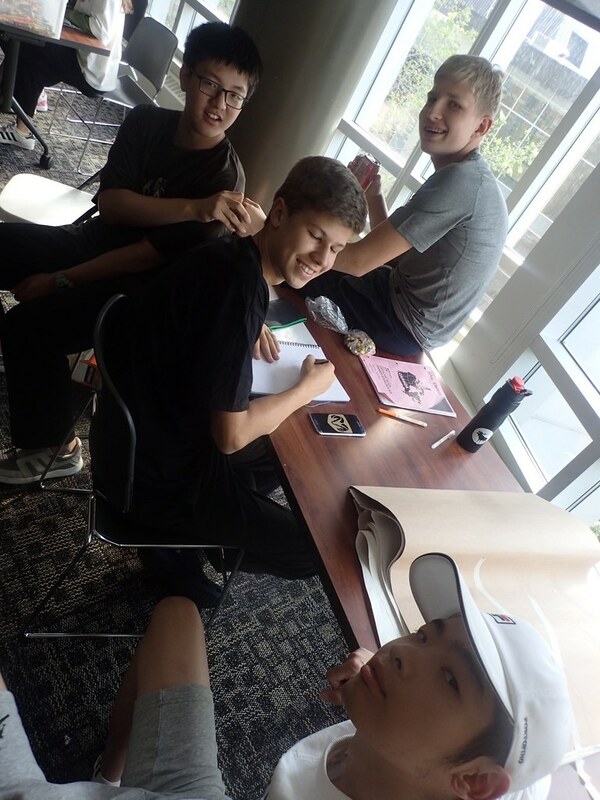 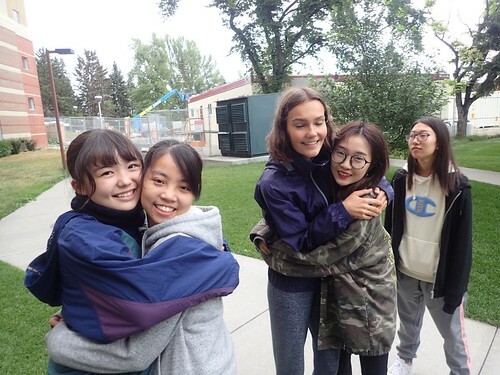 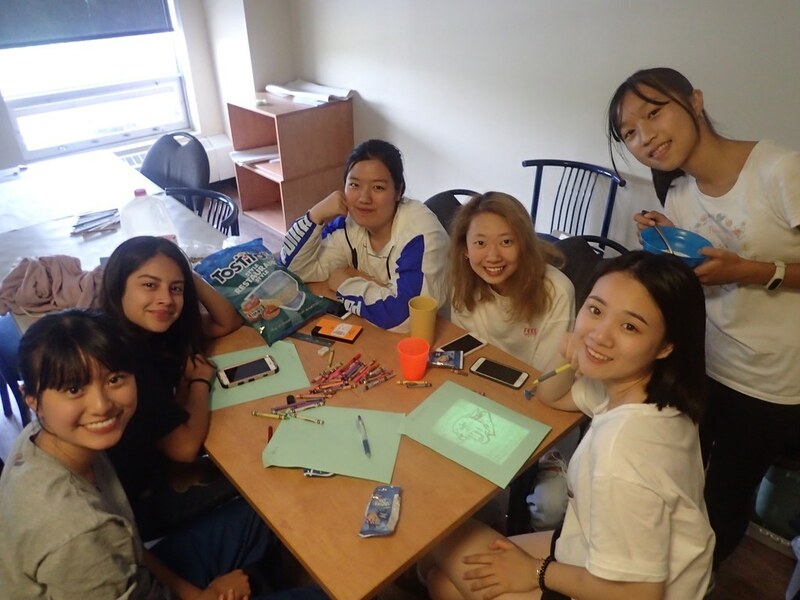 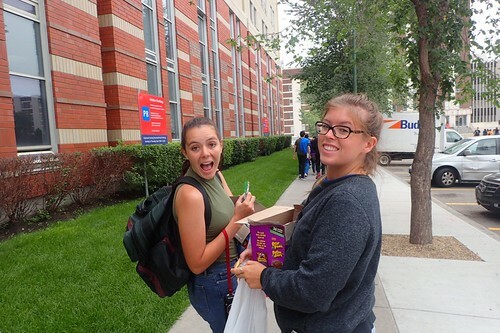 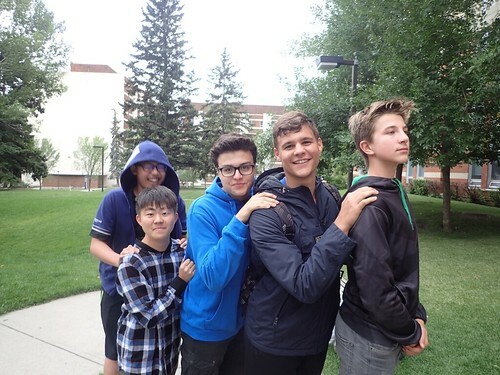 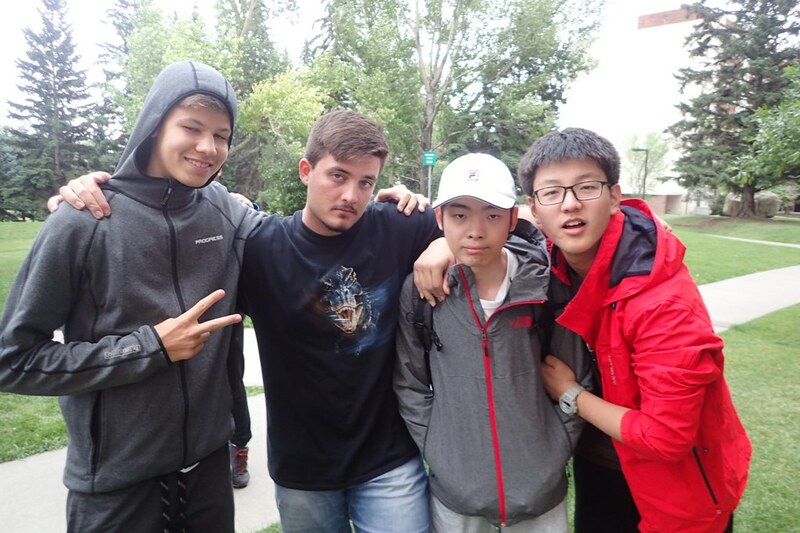 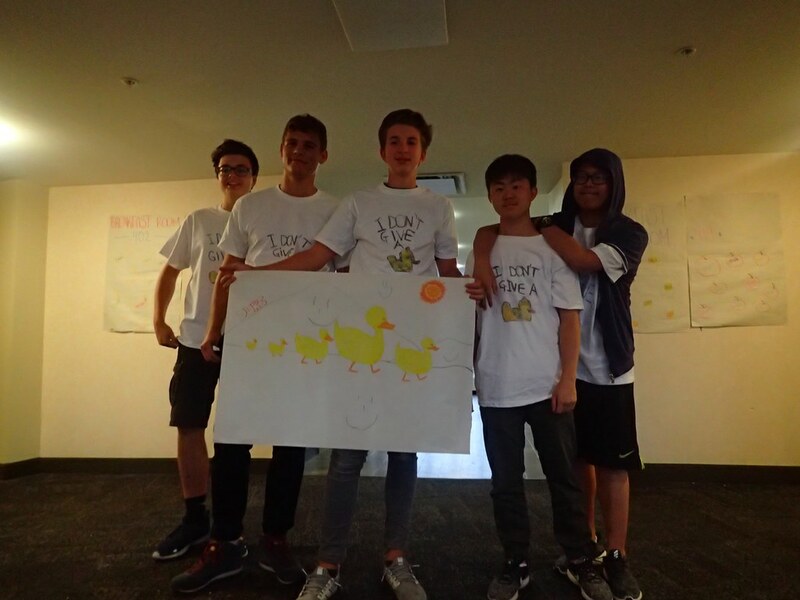 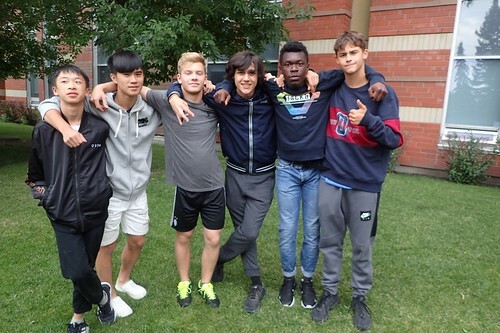 Then, after the usual but always delicious breakfast of waffles, eggs, bacon, fruit, yogurt and bagels with cream cheese, they headed to their lessons. 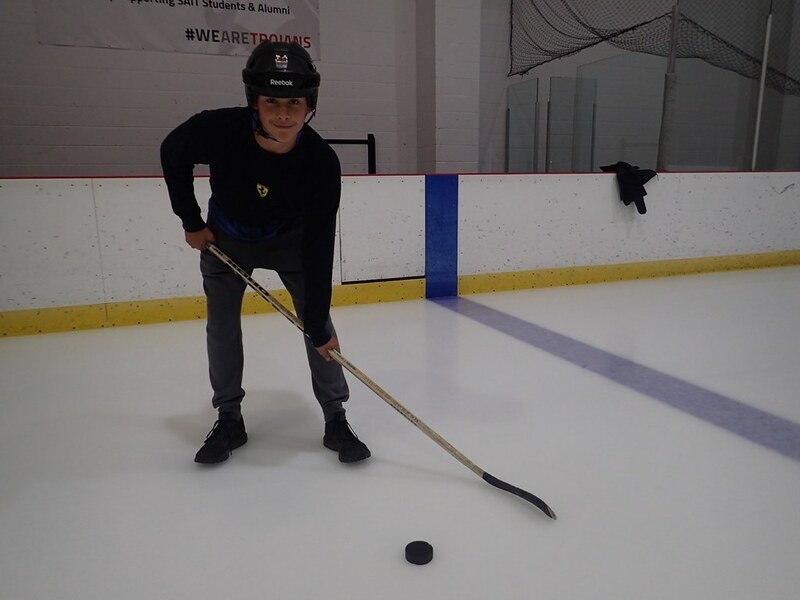 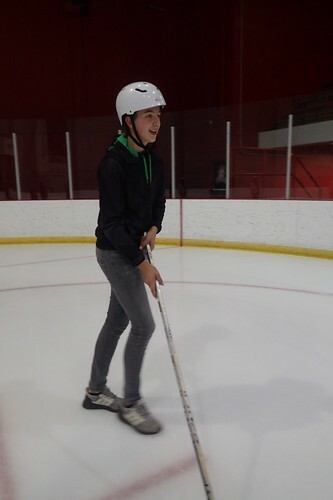 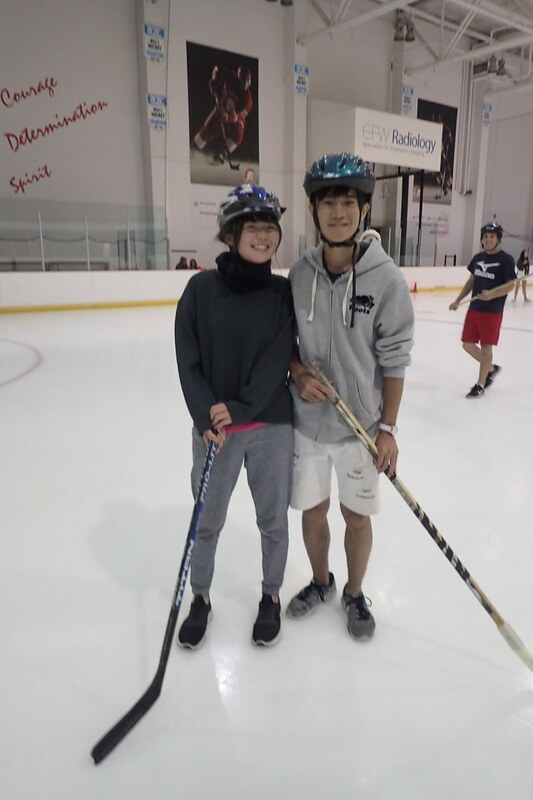 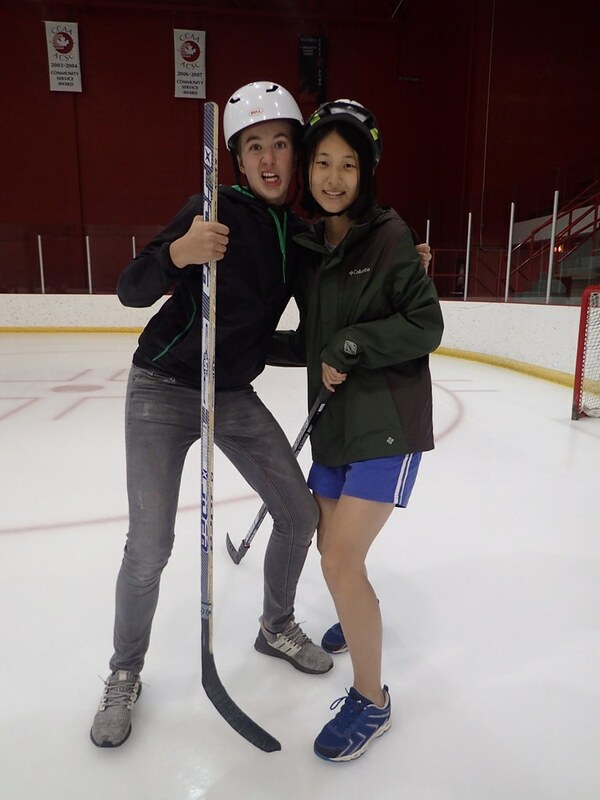 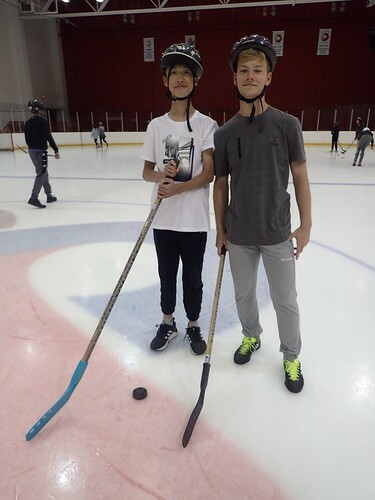 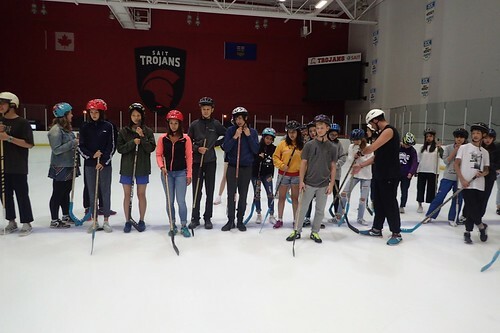 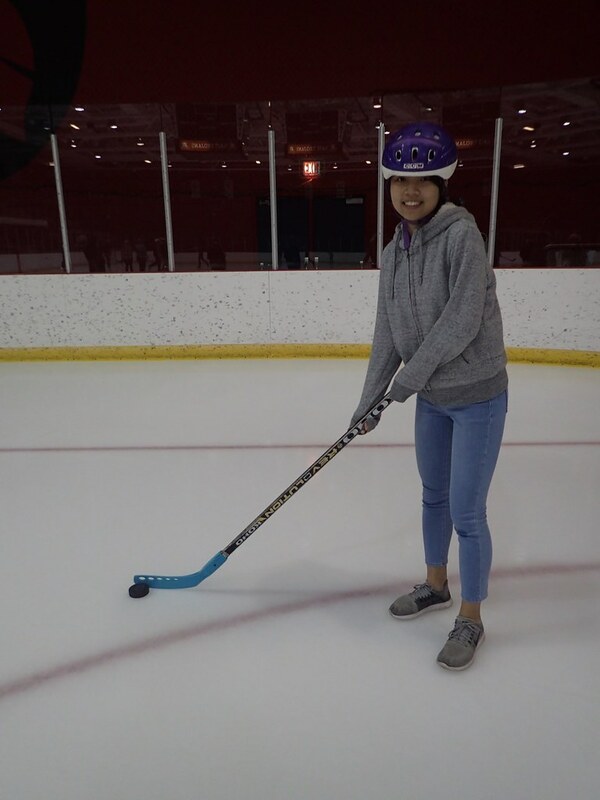 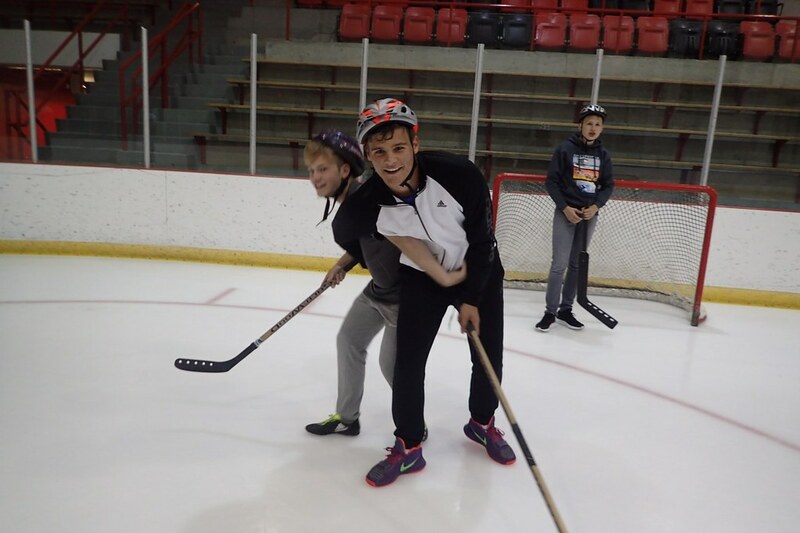 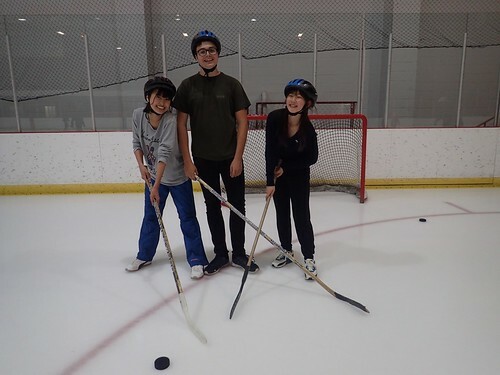 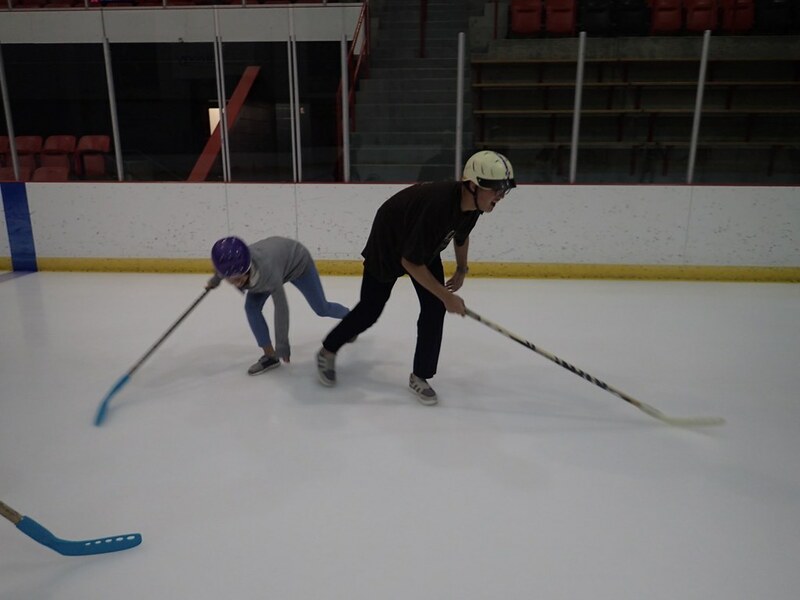 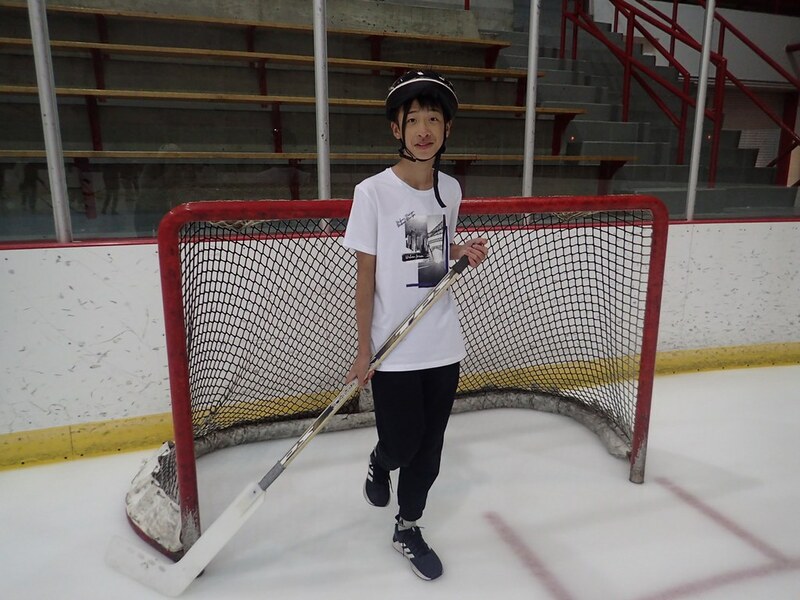 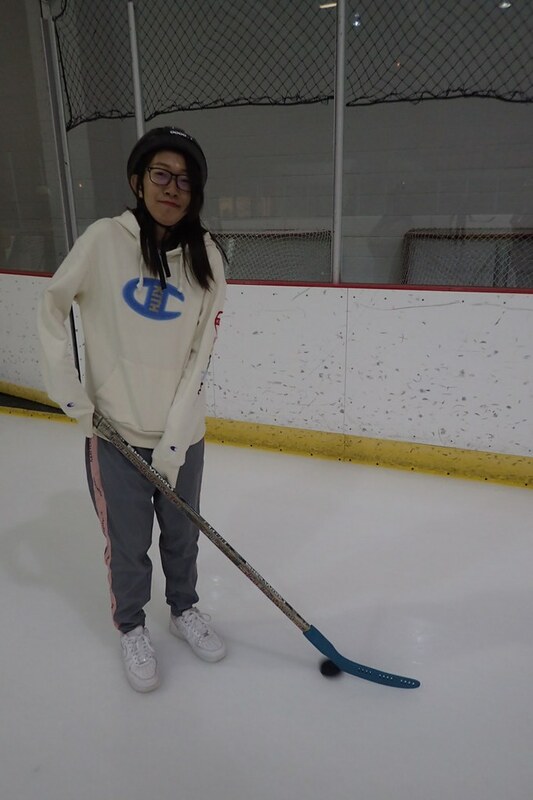 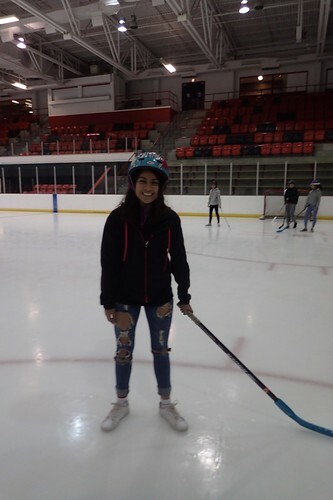 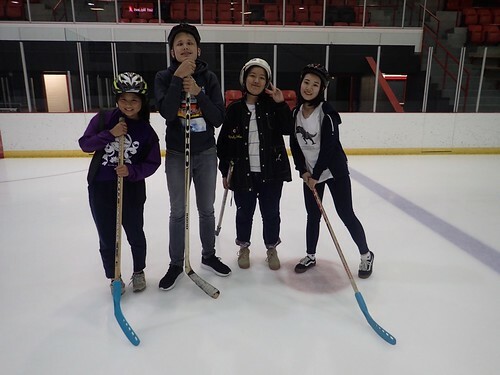 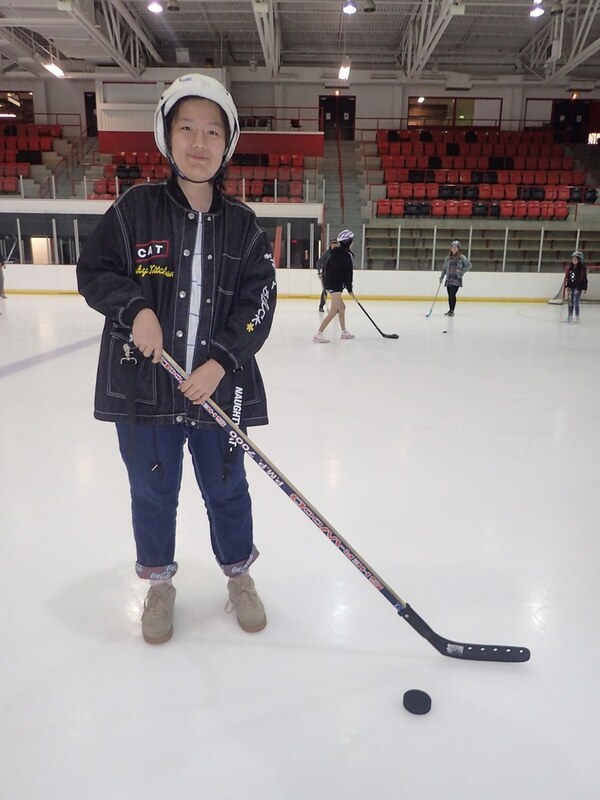 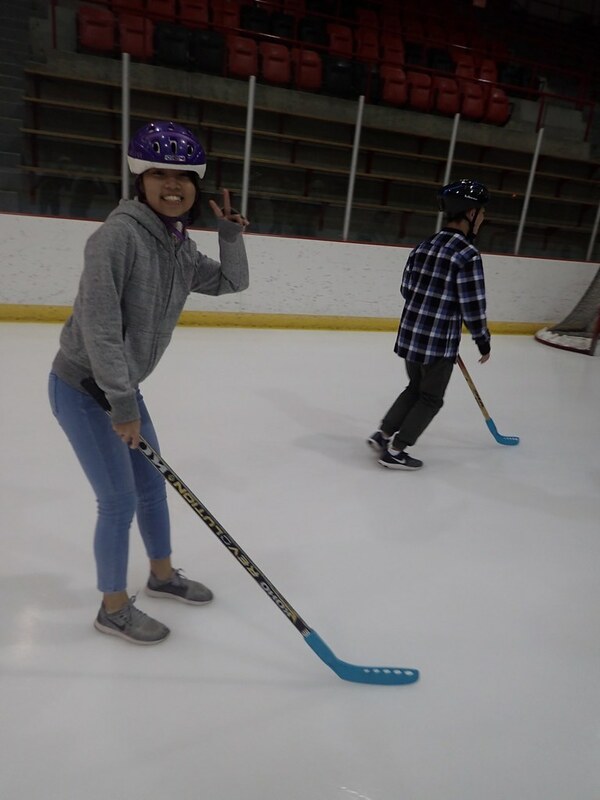 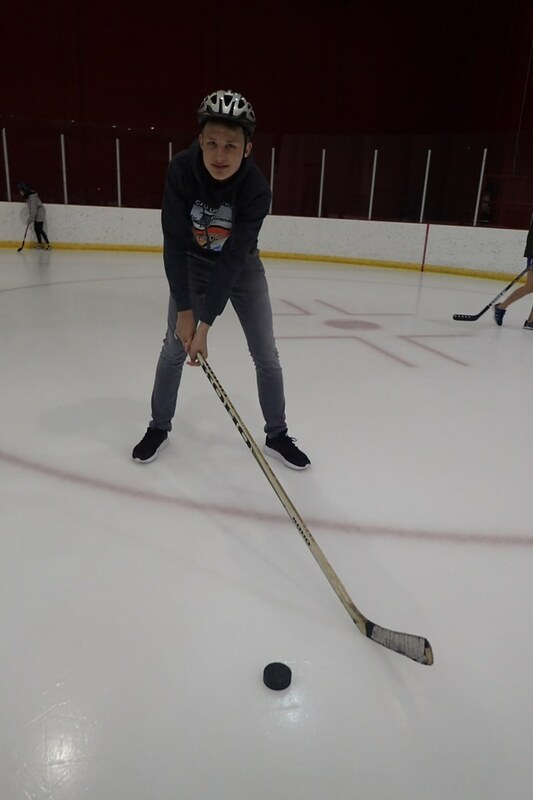 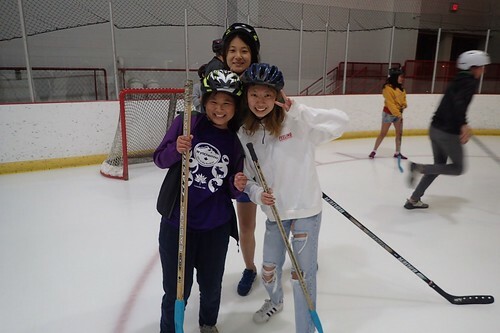 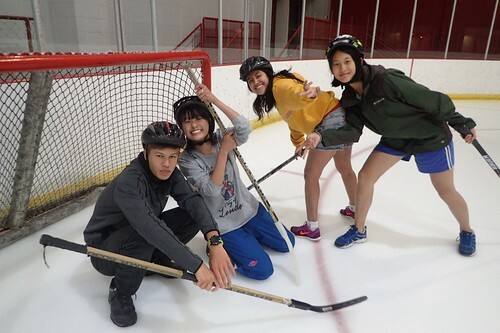 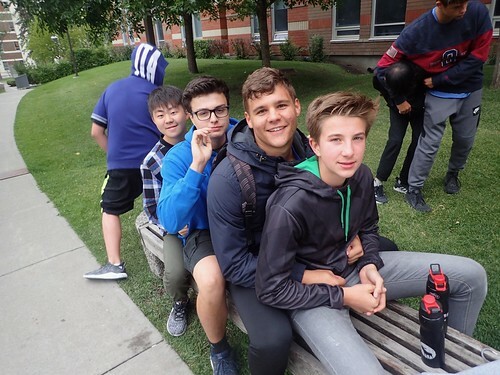 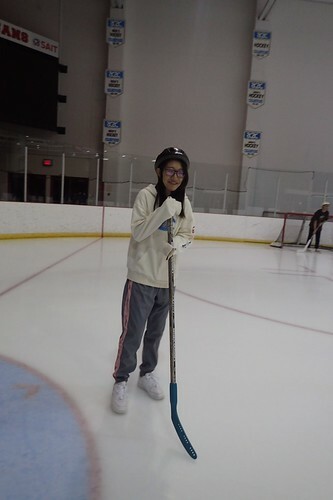 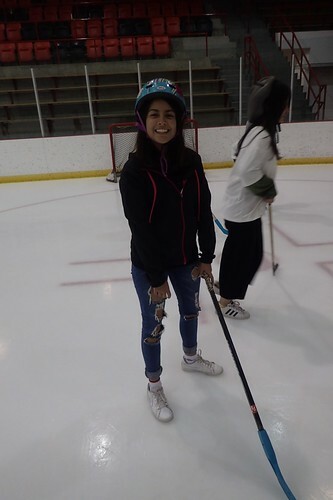 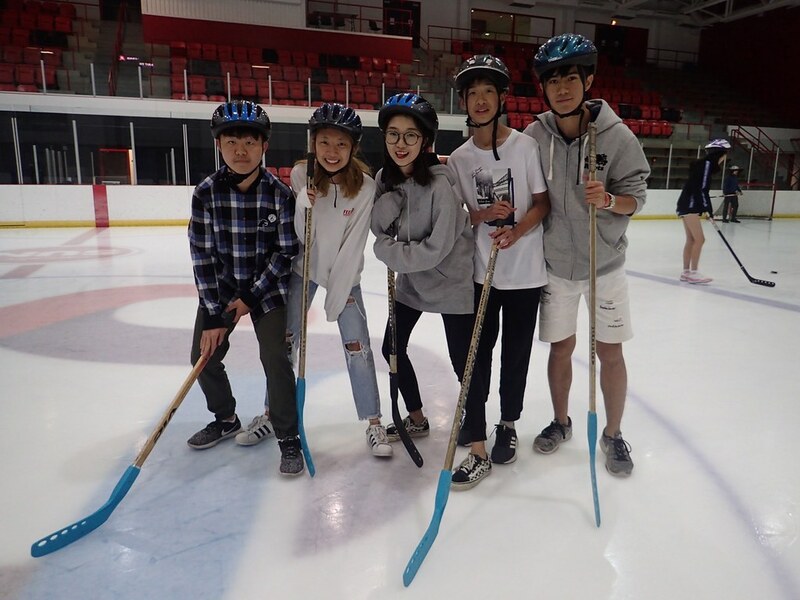 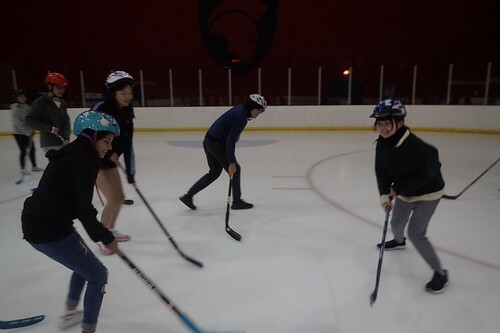 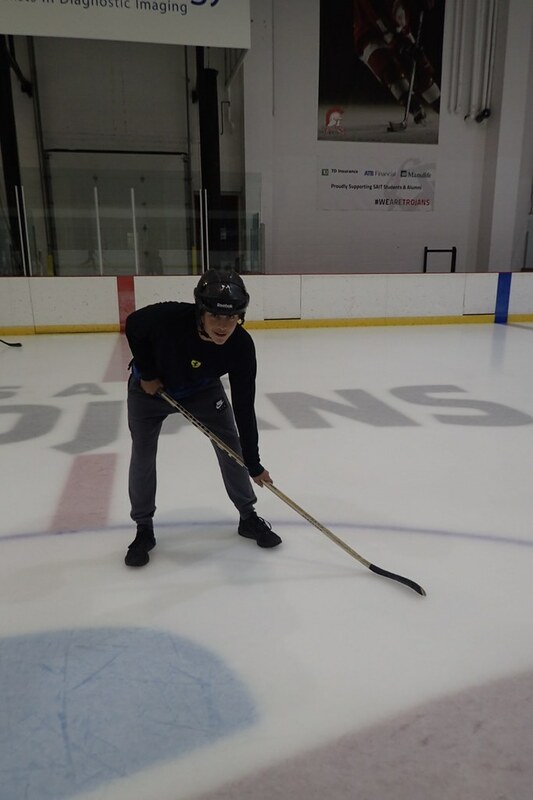 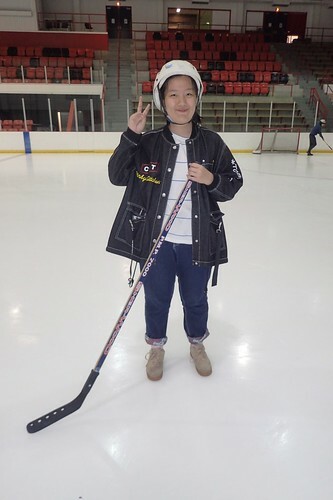 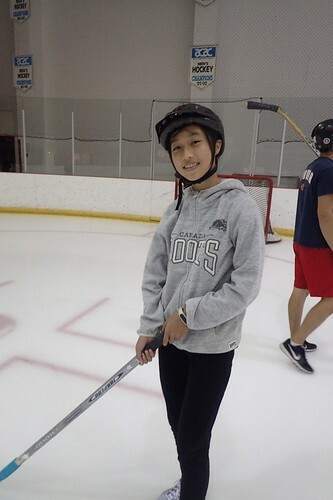 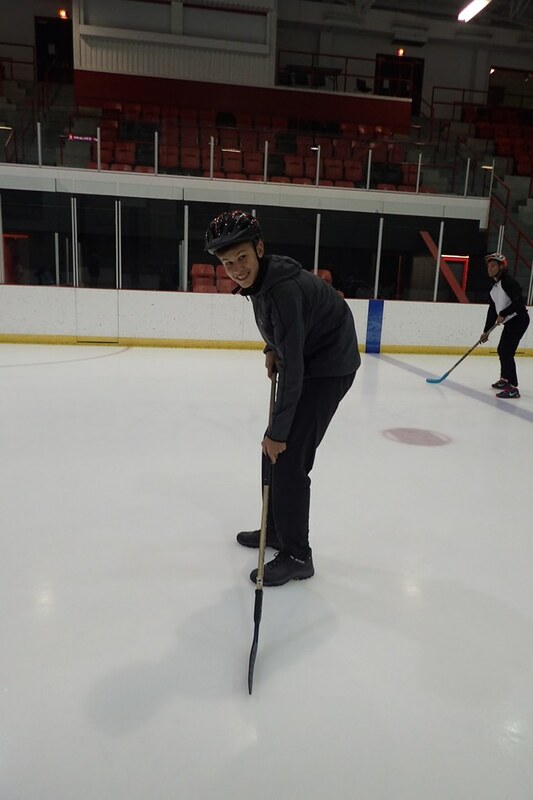 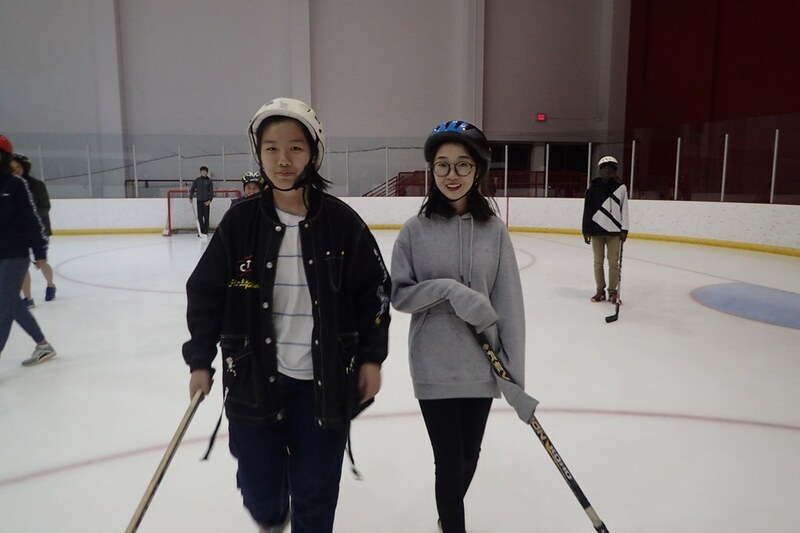 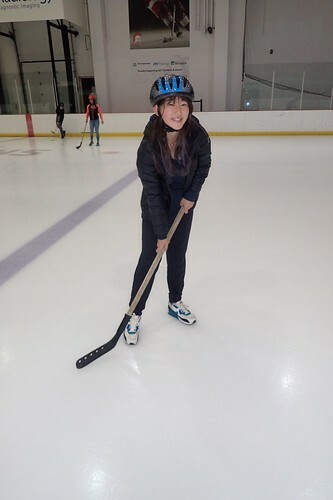 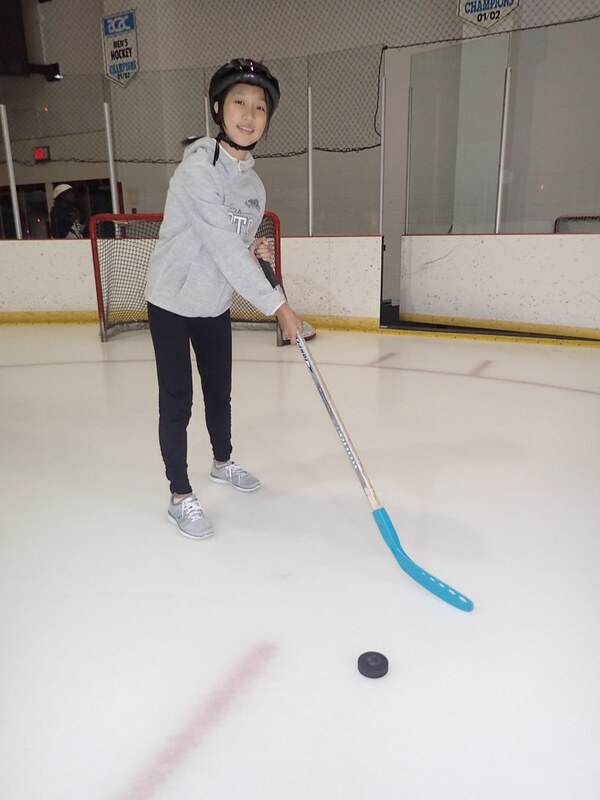 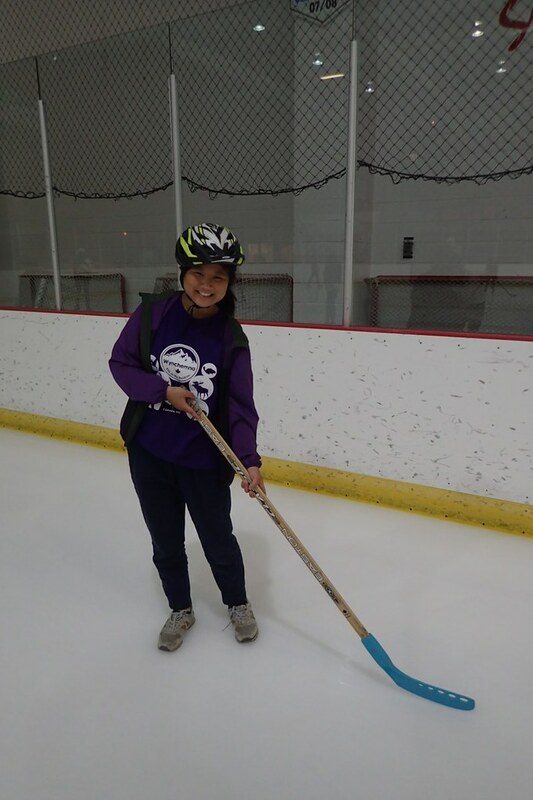 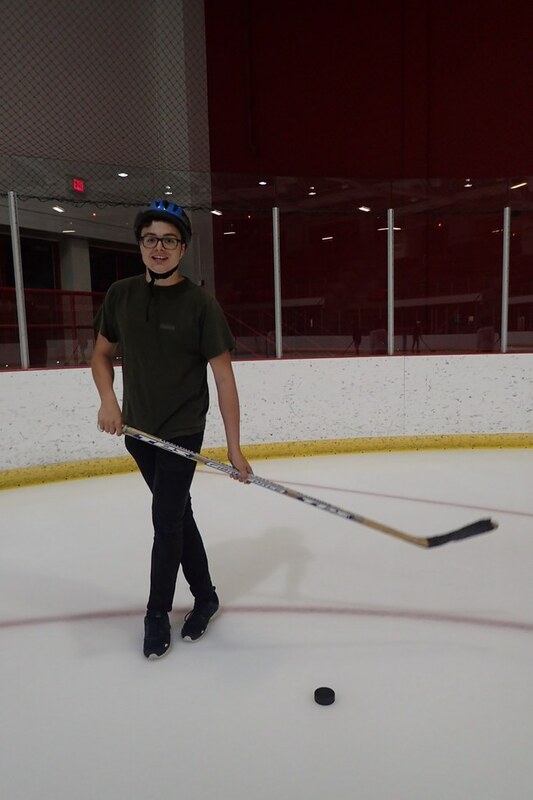 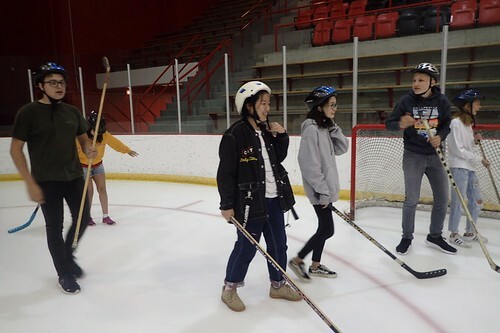 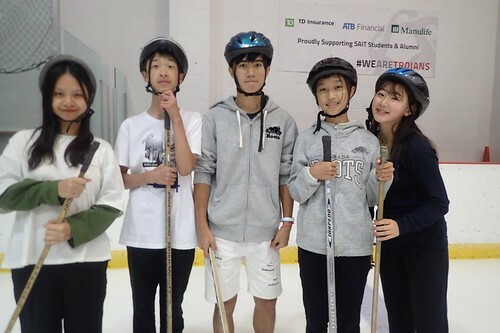 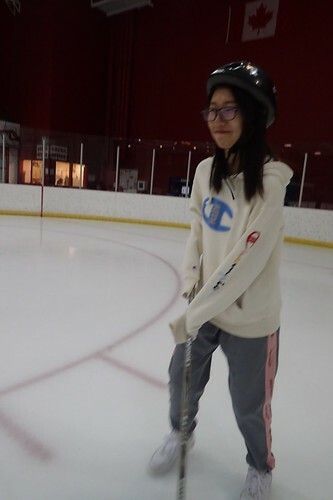 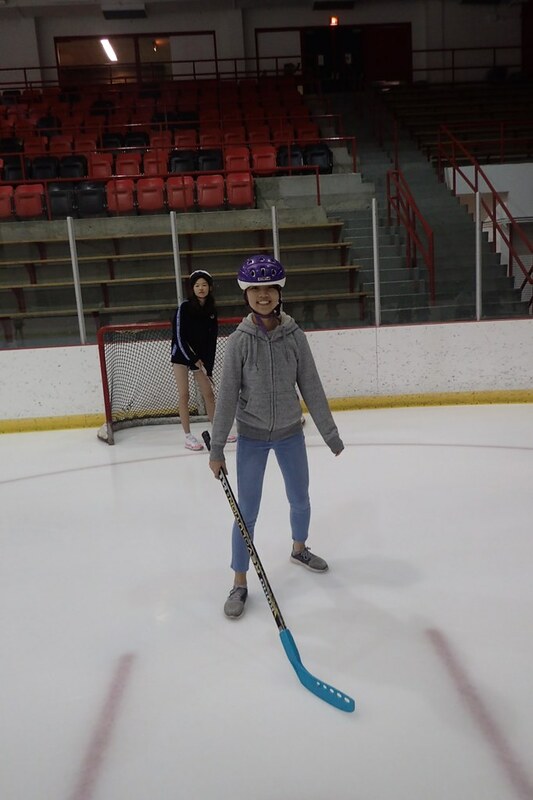 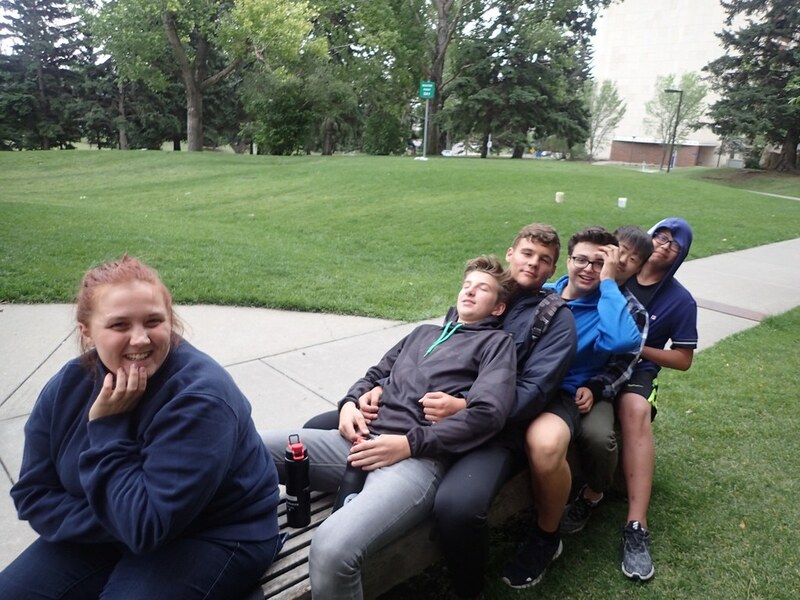 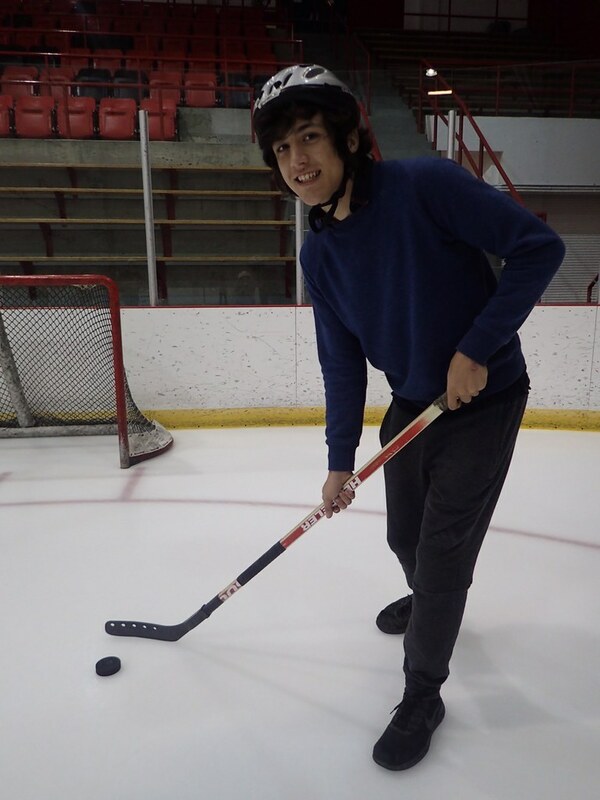 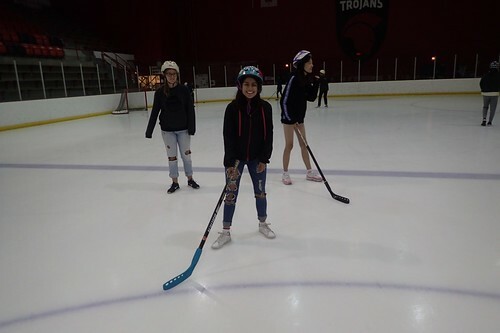 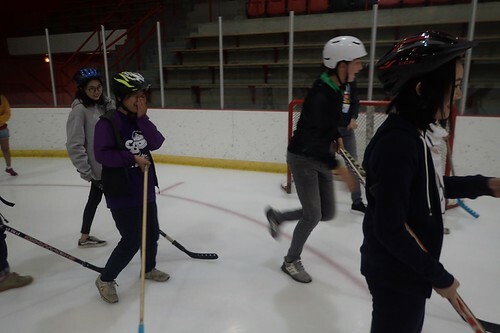 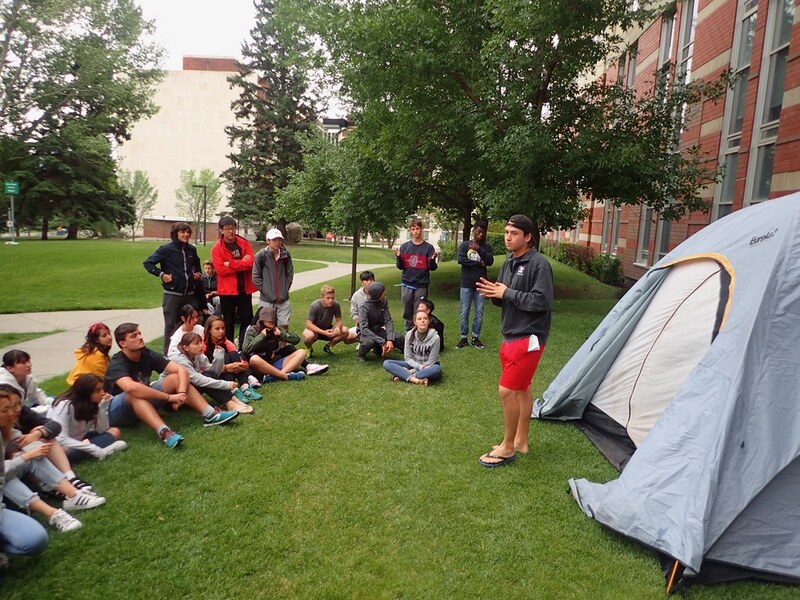 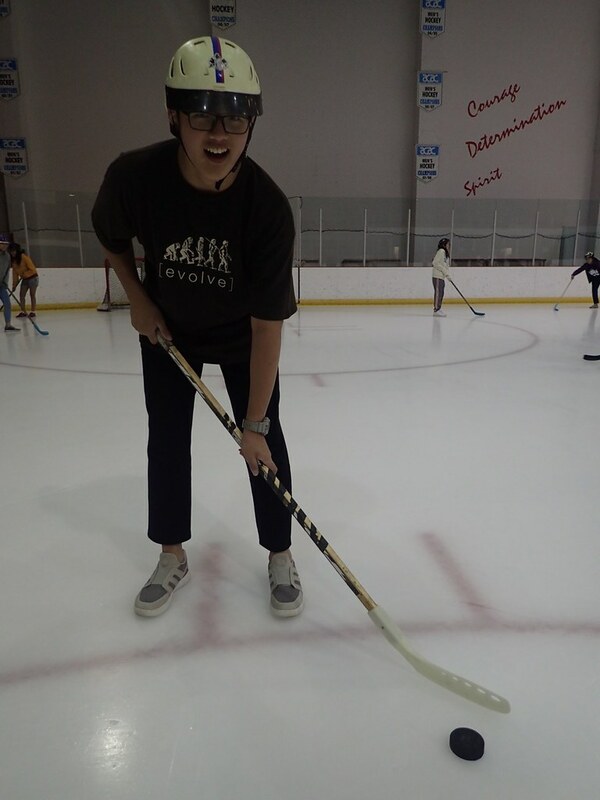 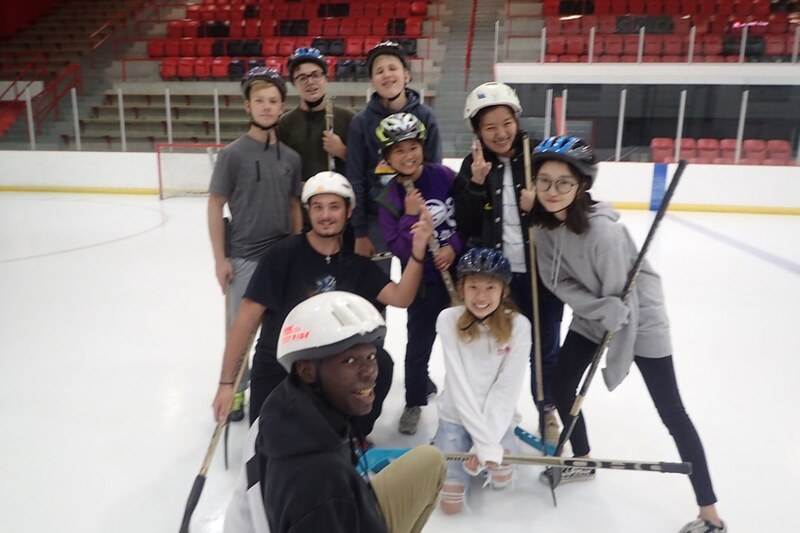 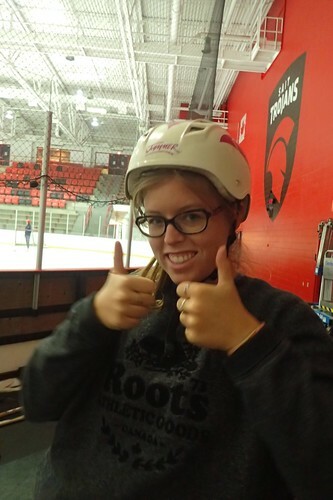 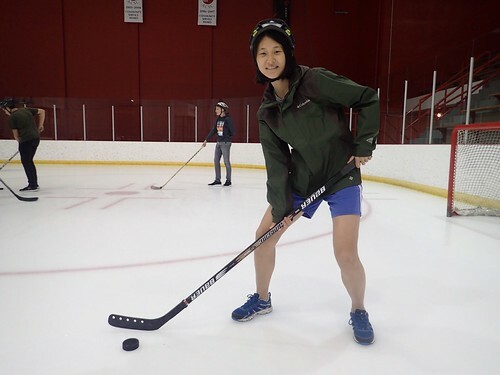 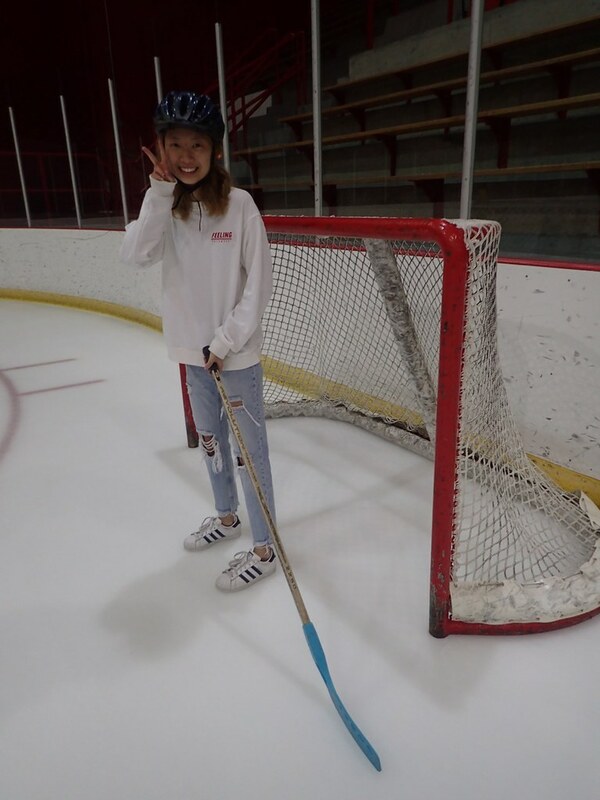 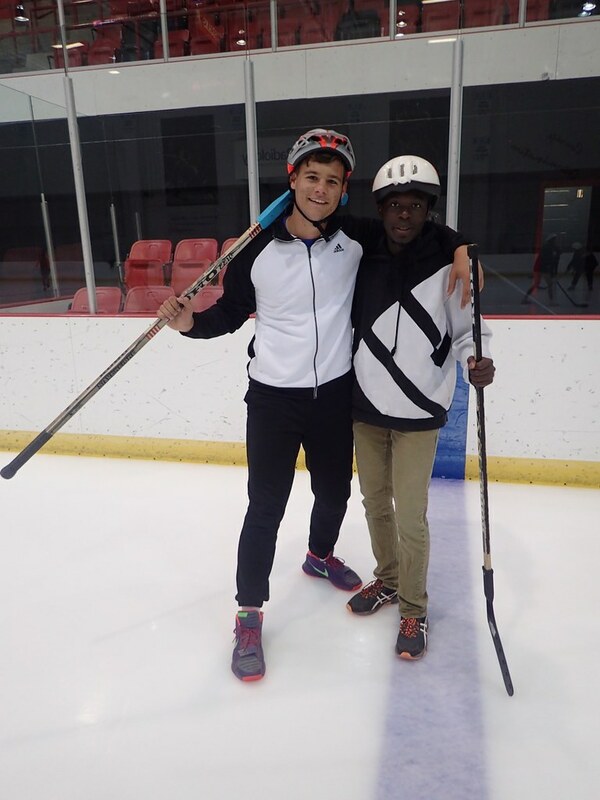 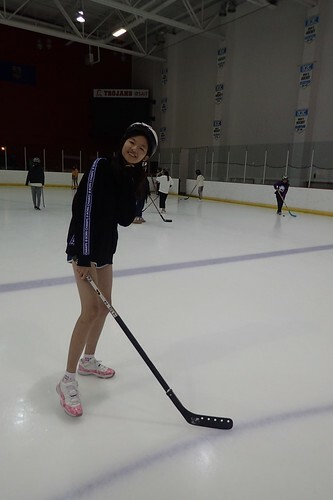 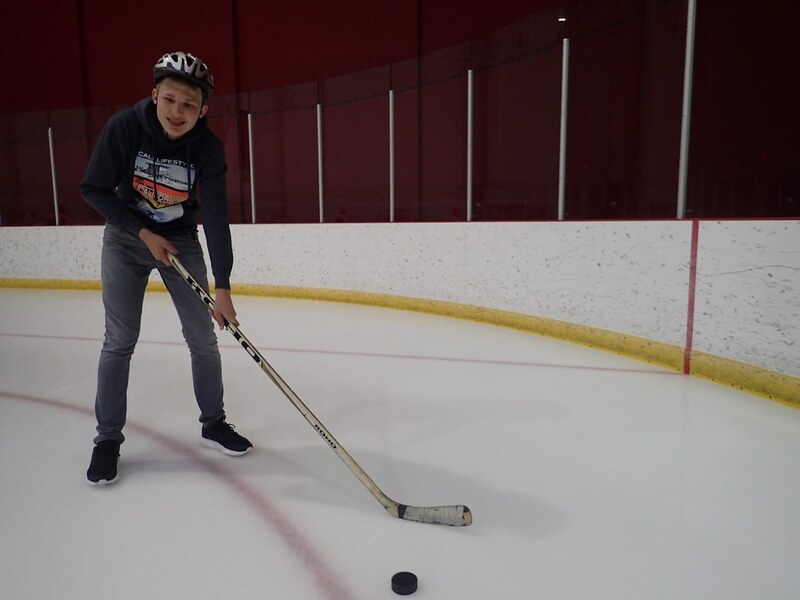 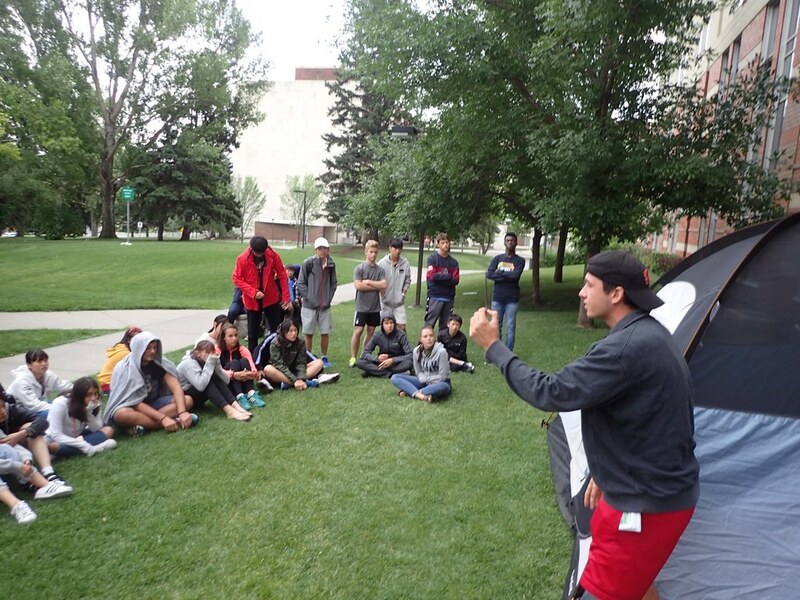 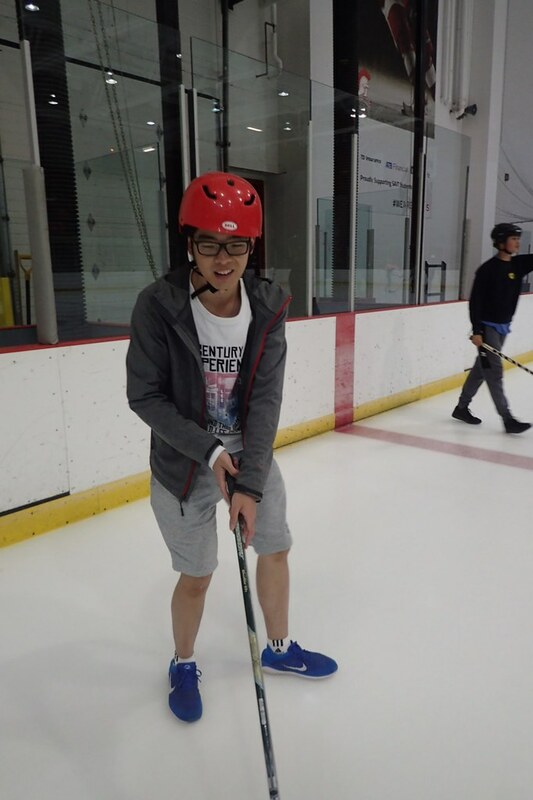 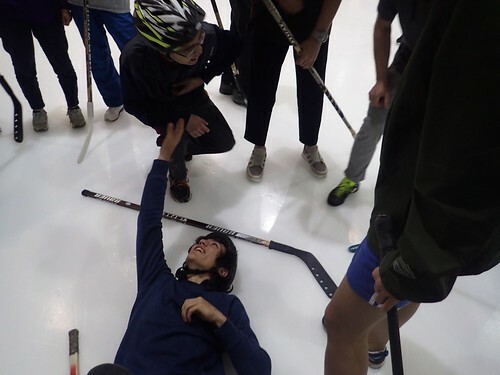 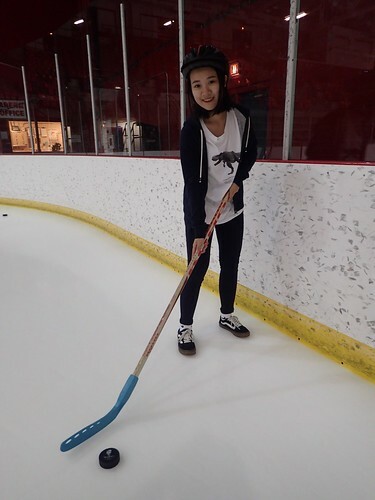 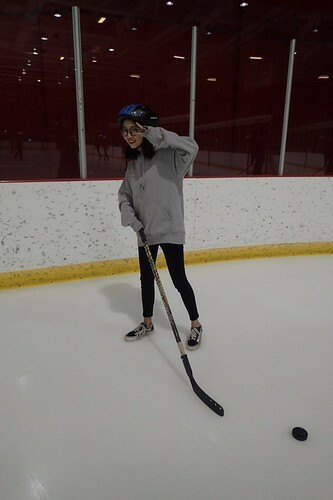 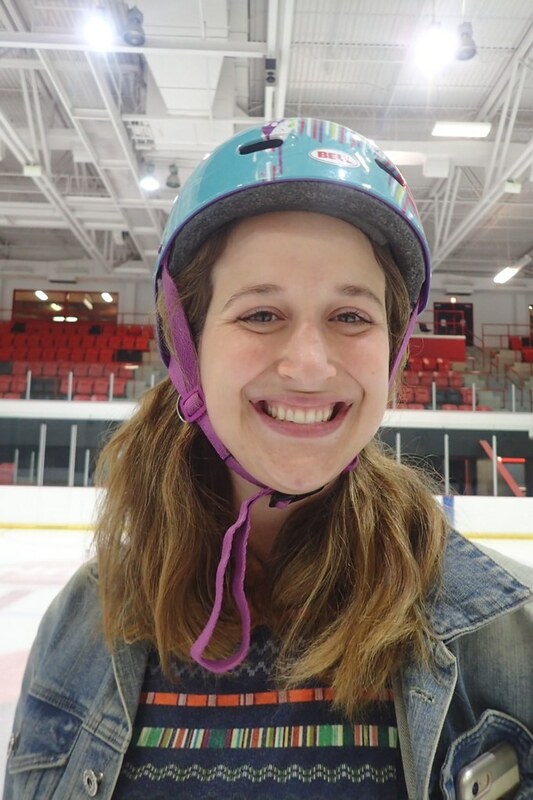 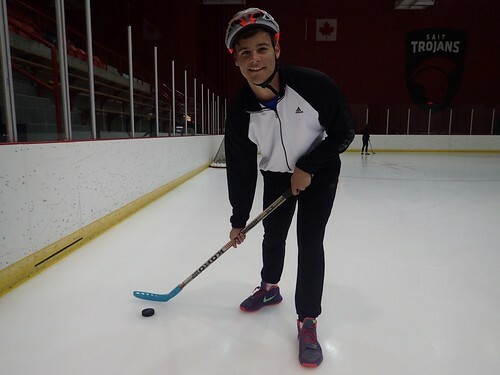 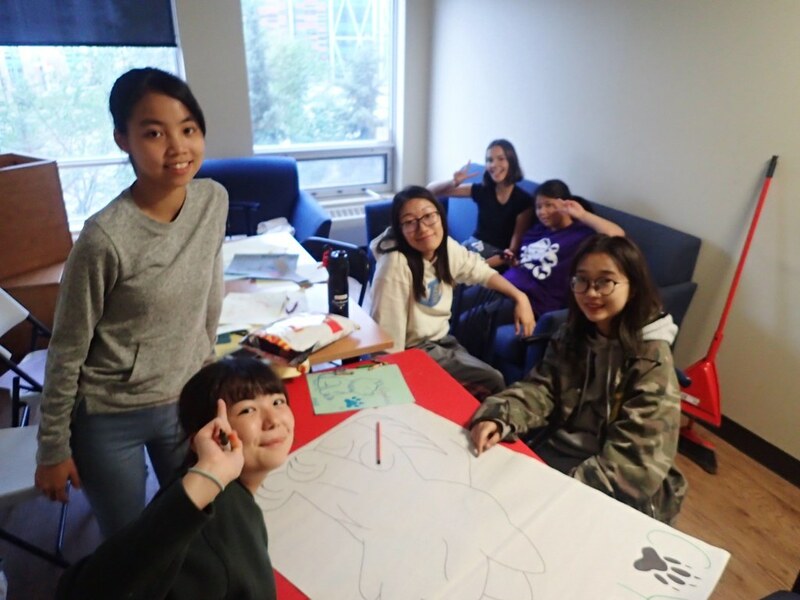 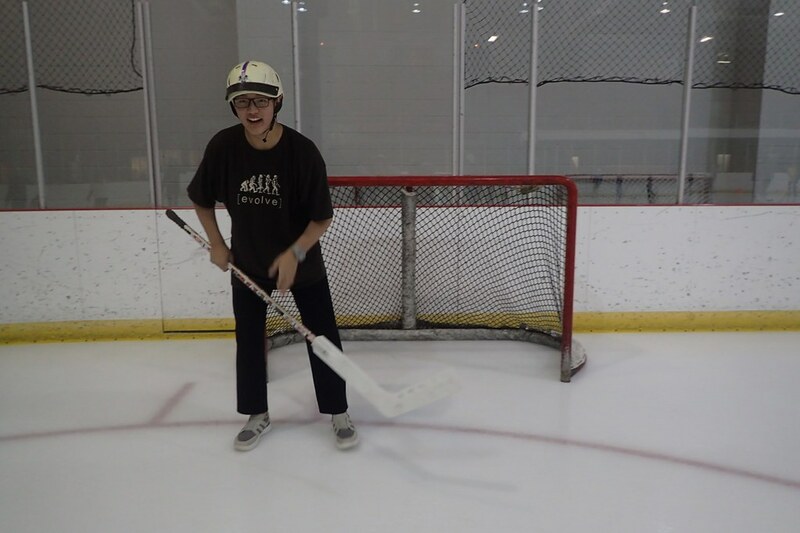 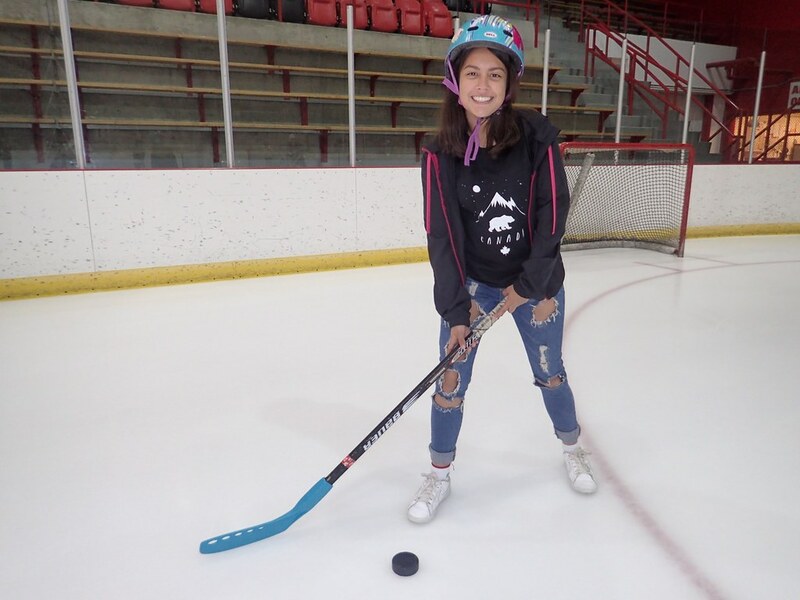 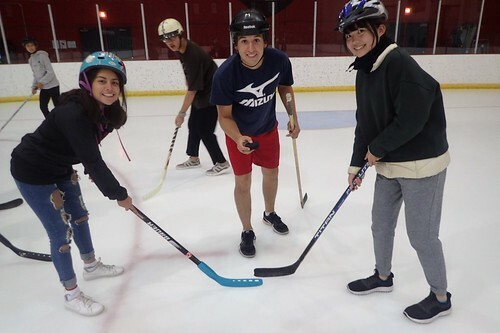 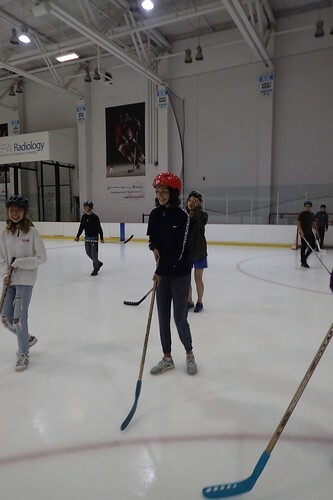 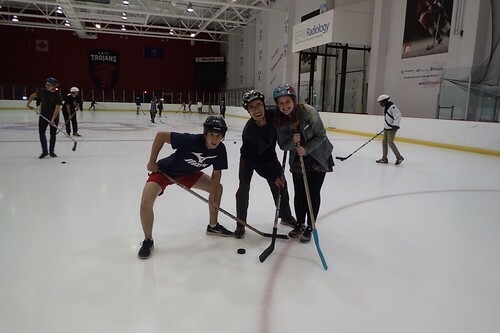 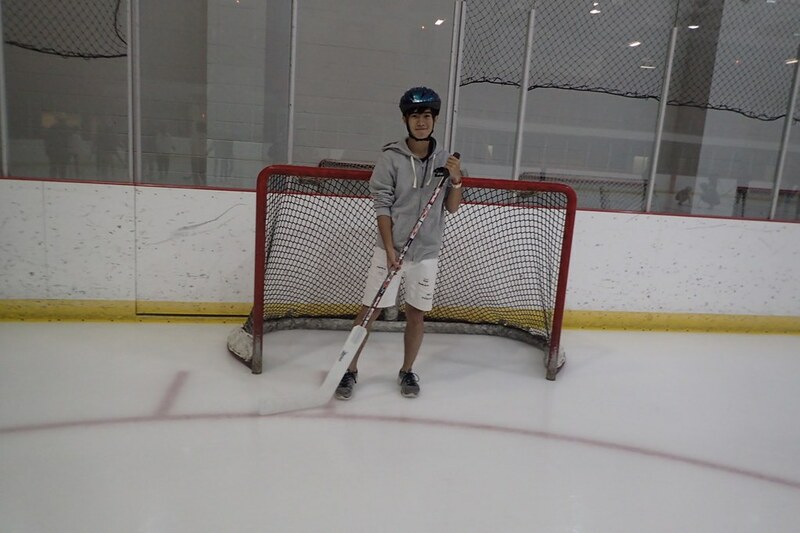 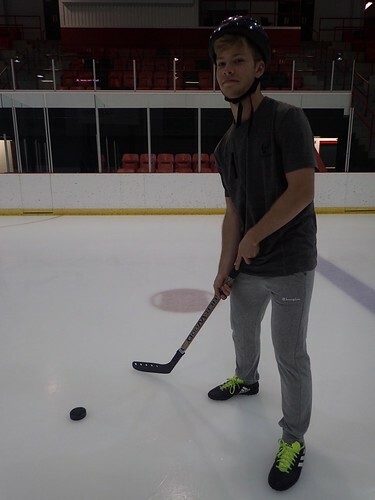 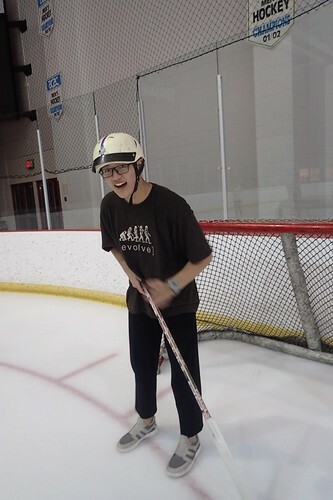 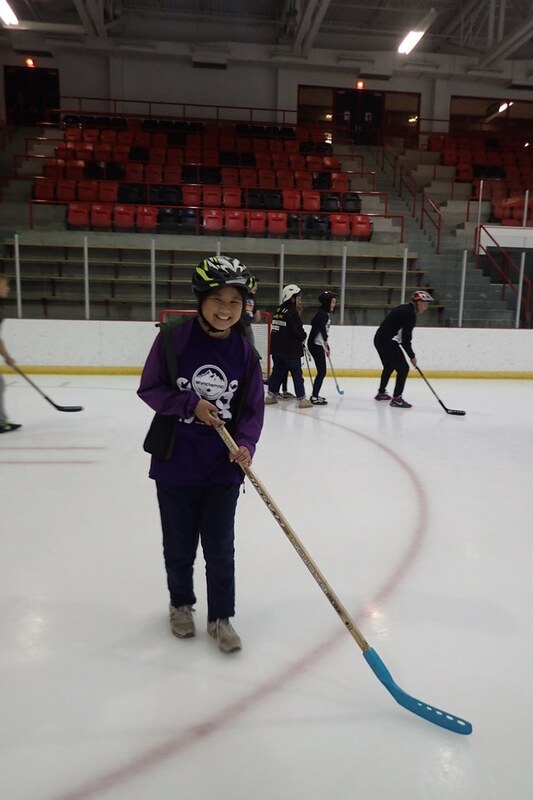 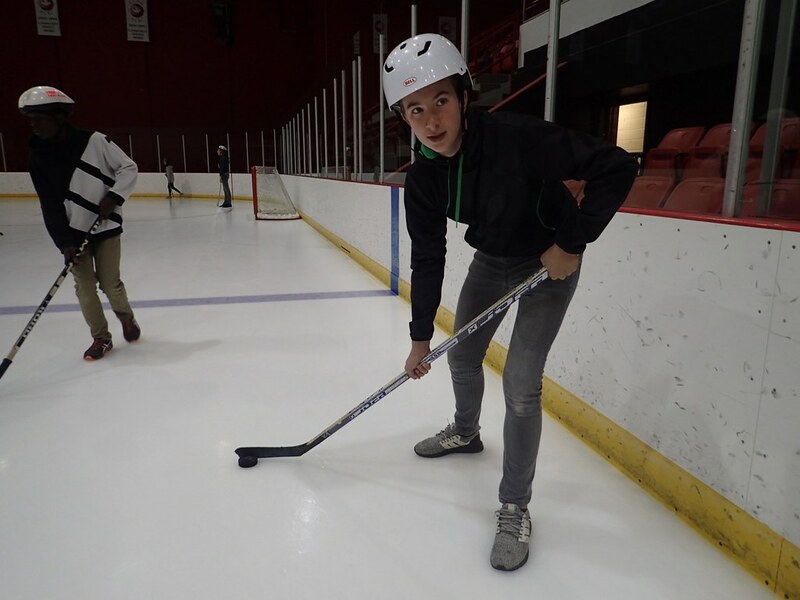 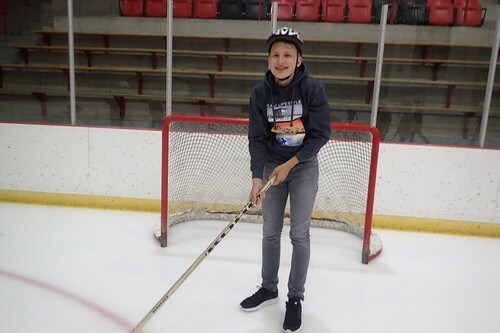 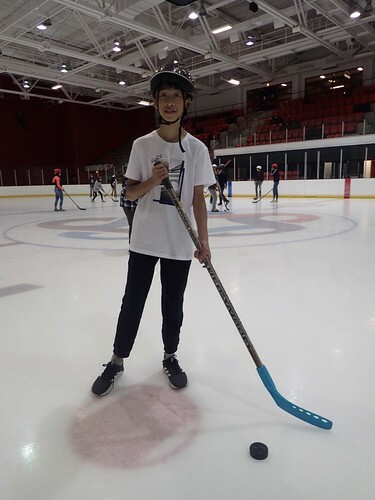 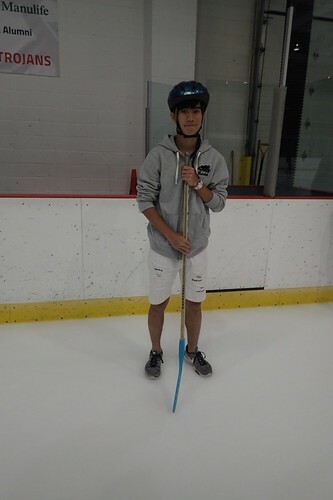 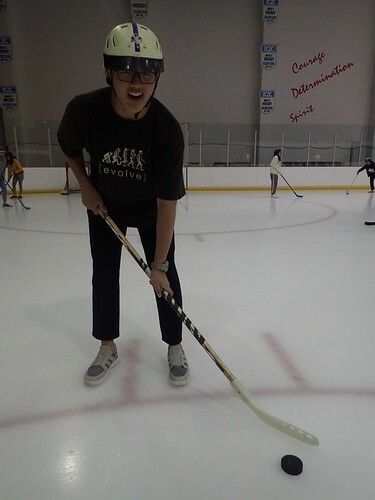 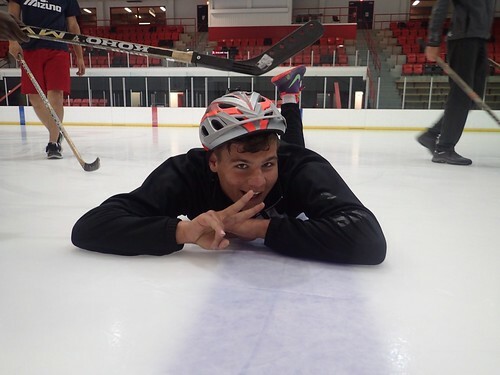 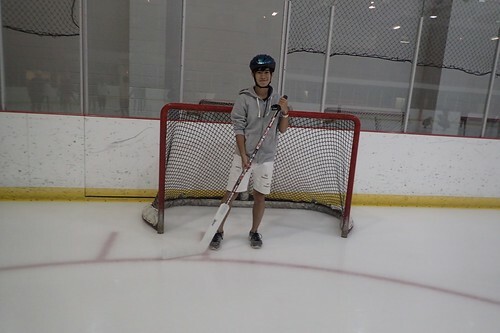 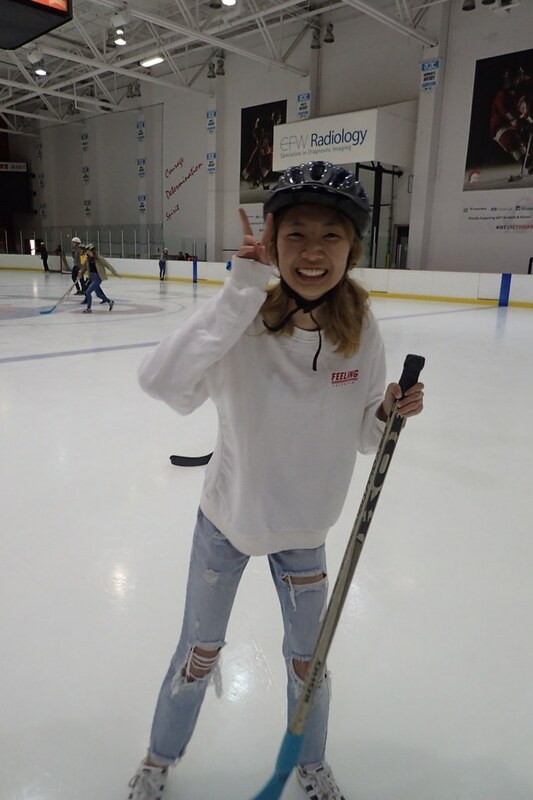 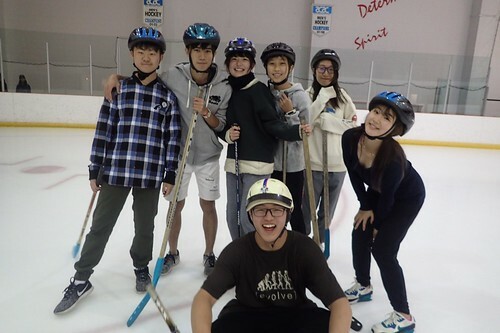 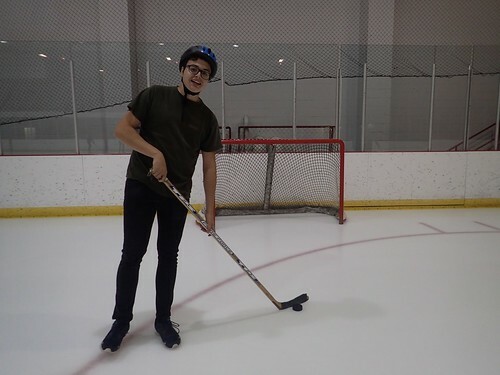 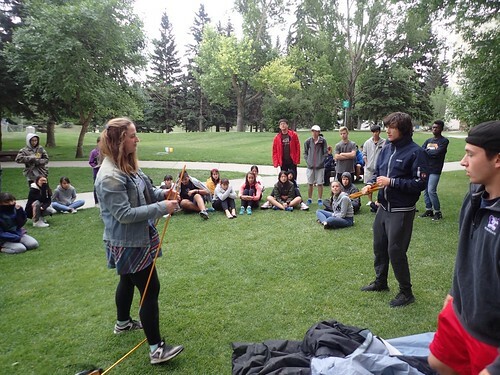 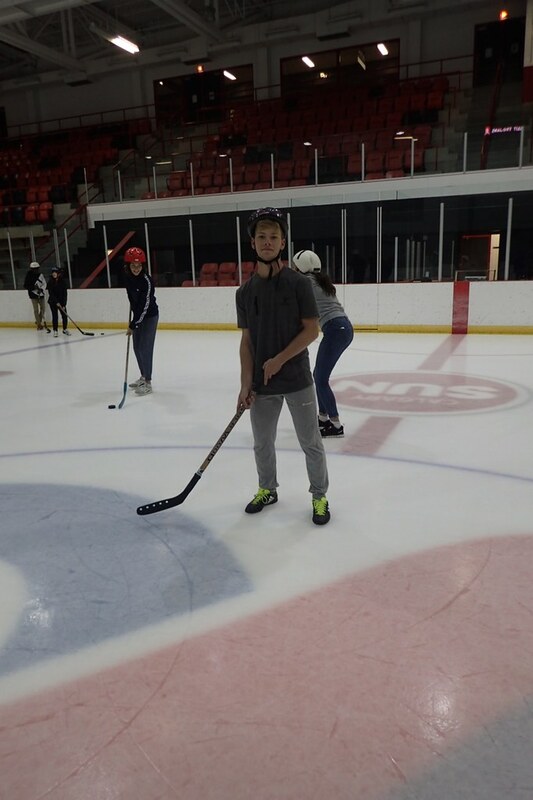 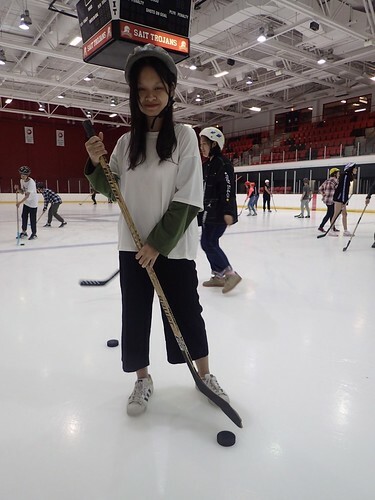 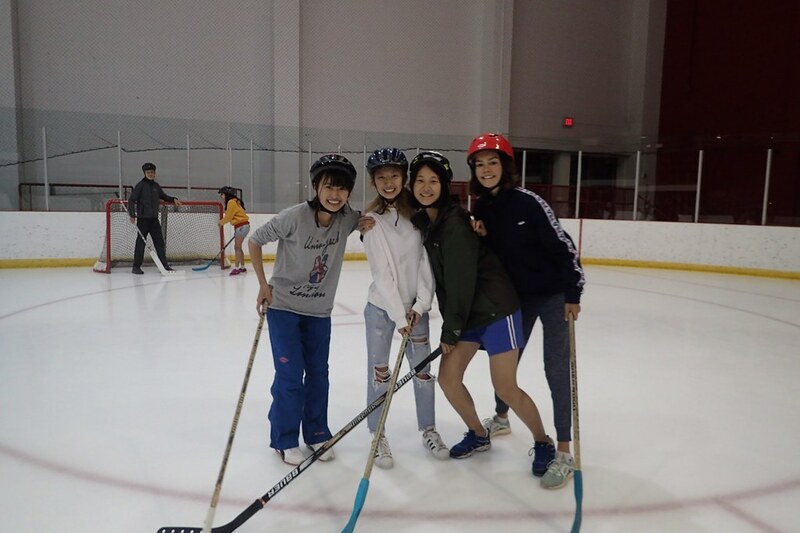 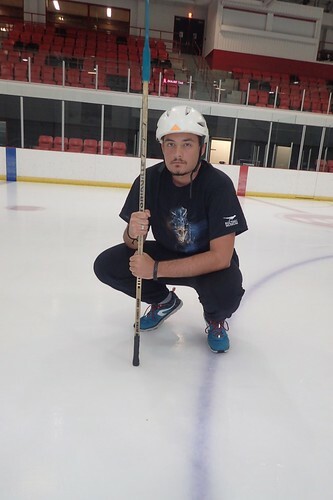 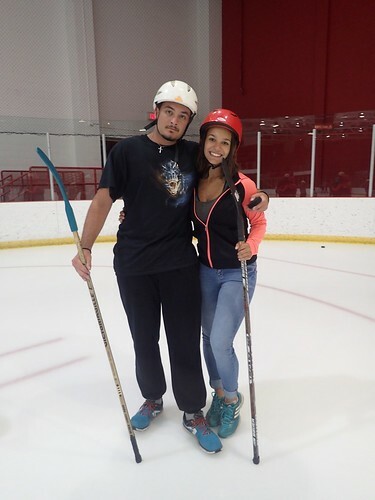 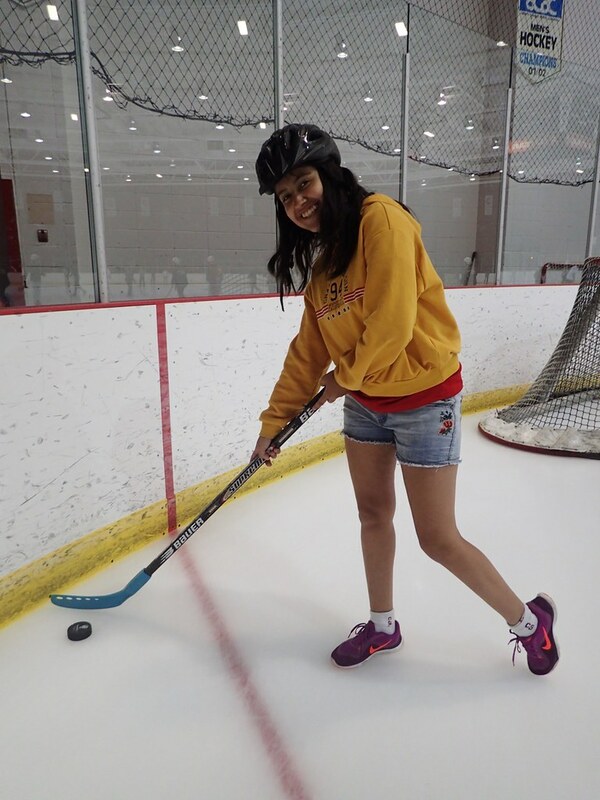 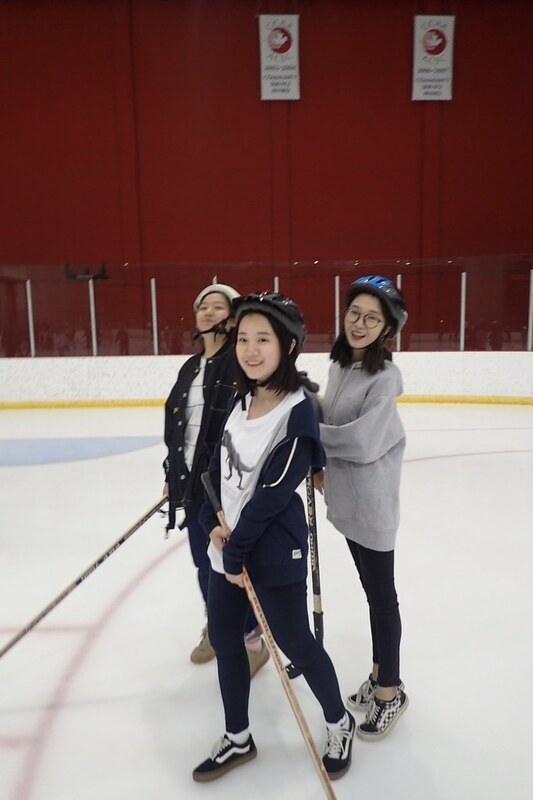 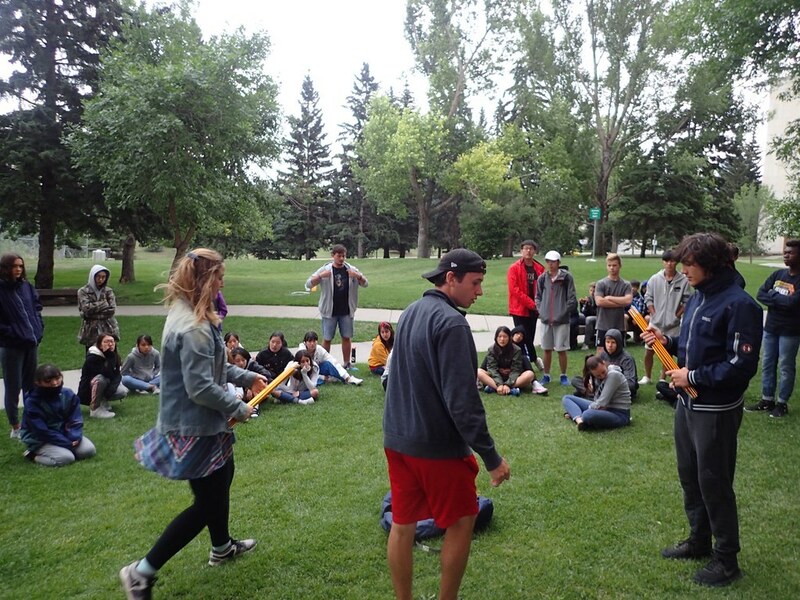 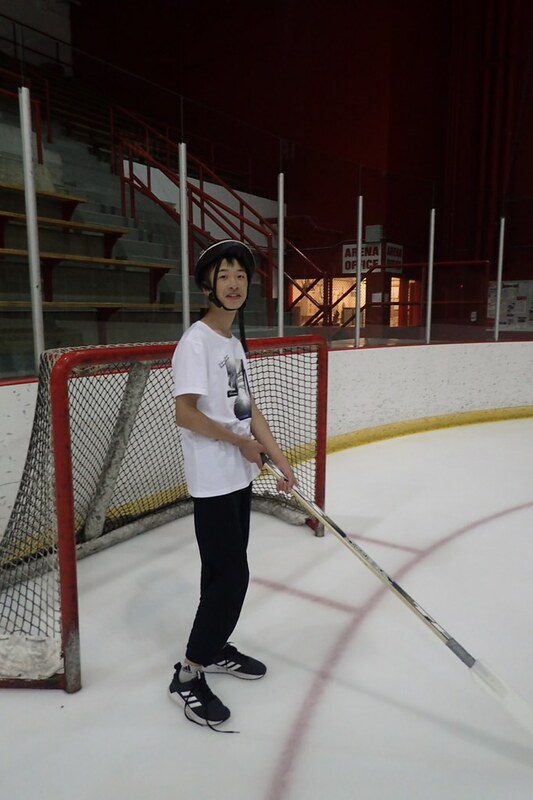 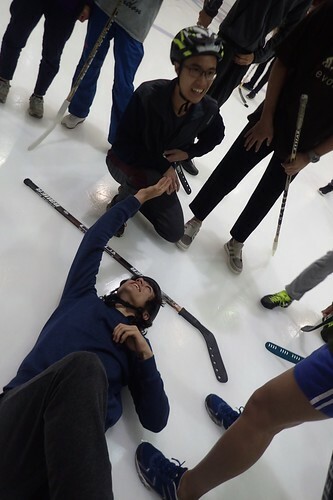 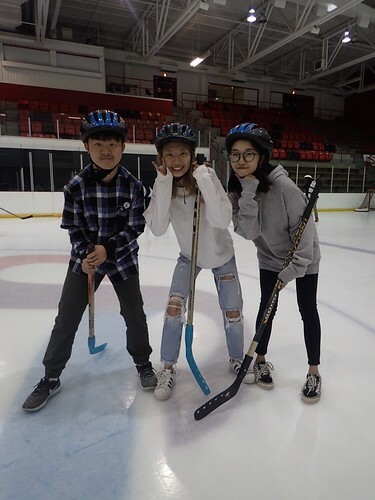 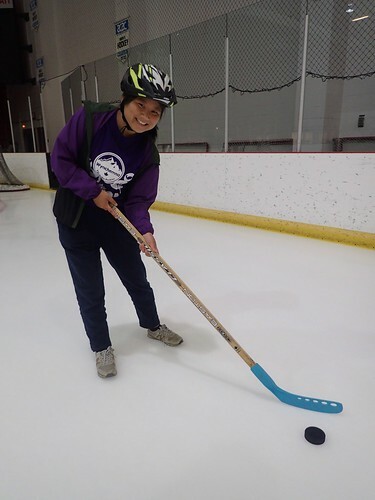 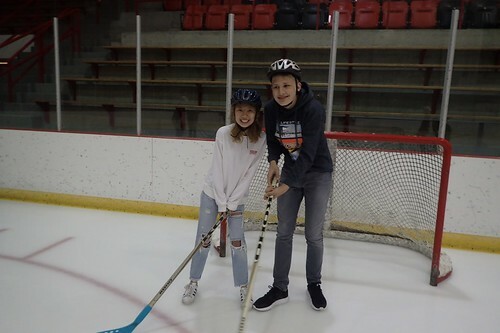 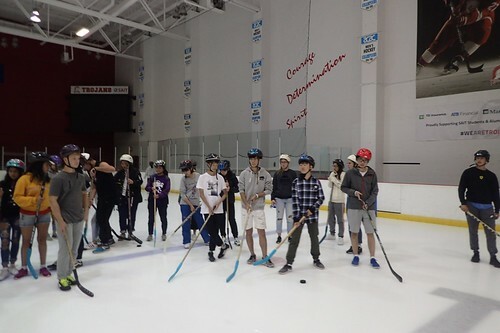 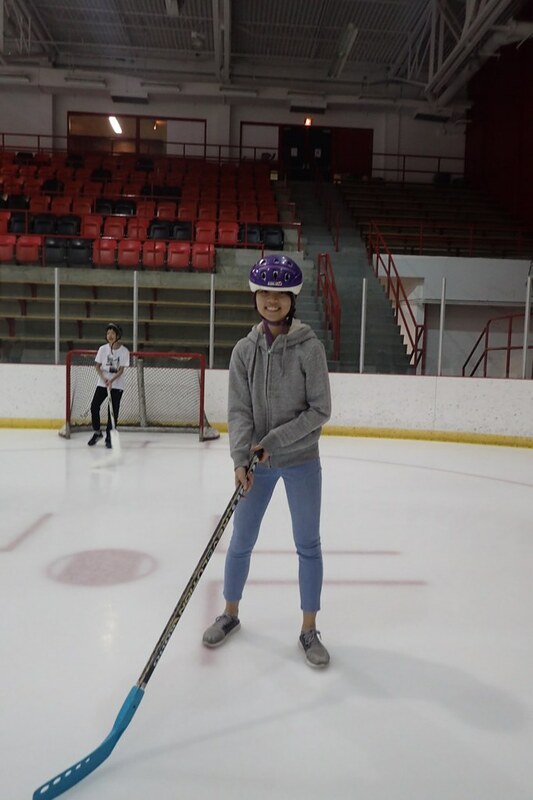 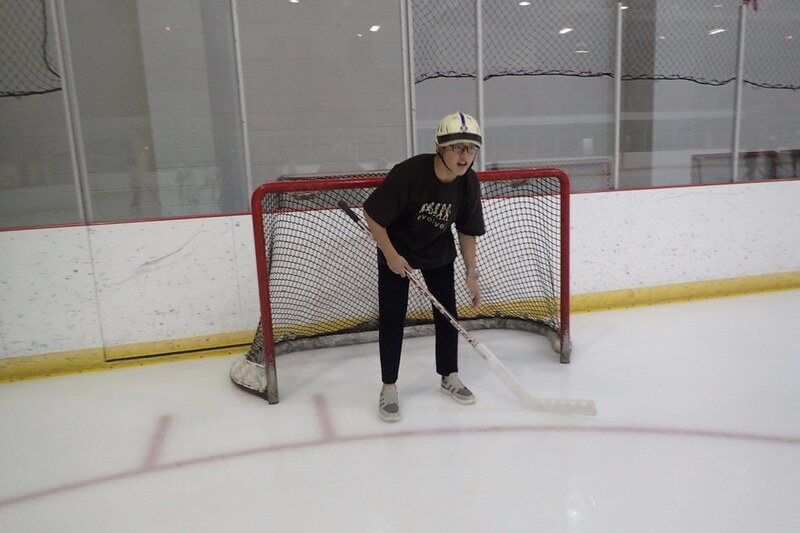 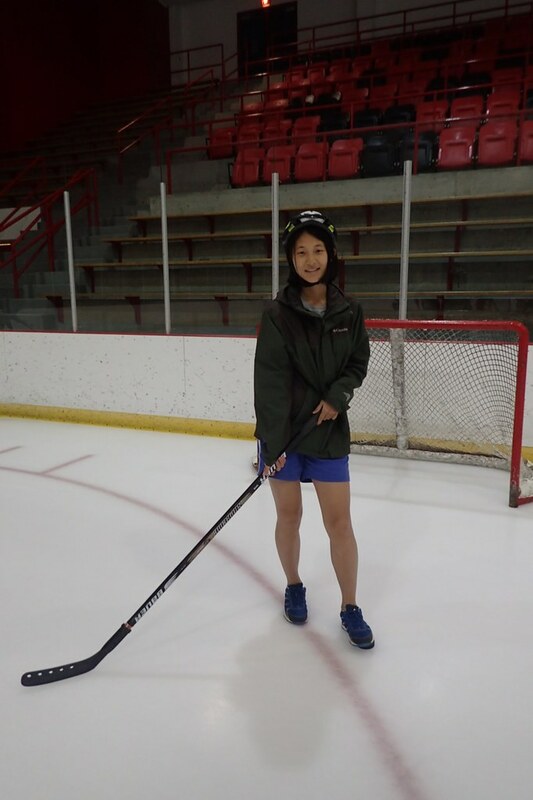 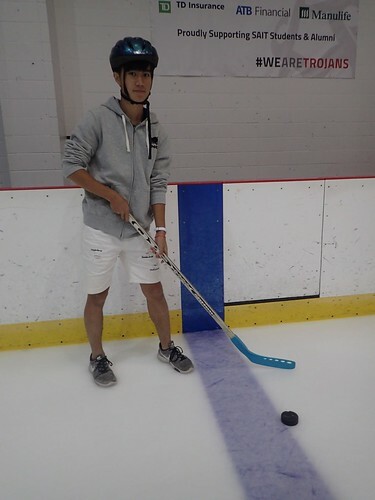 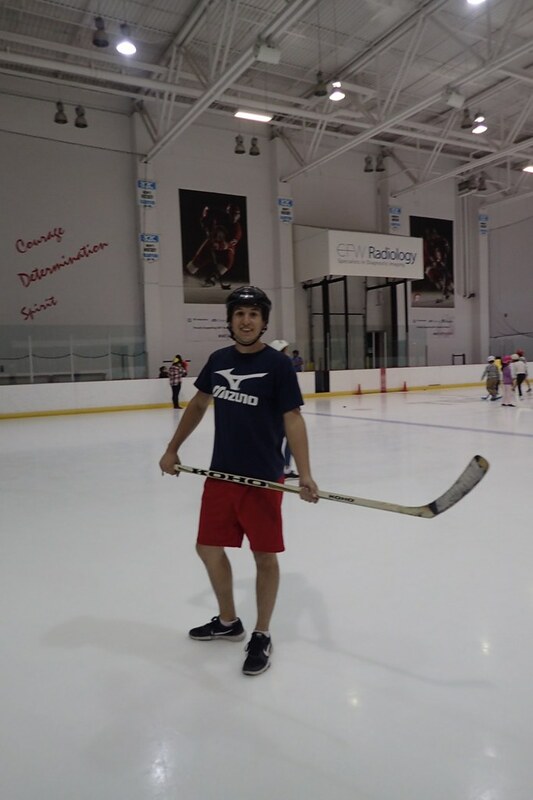 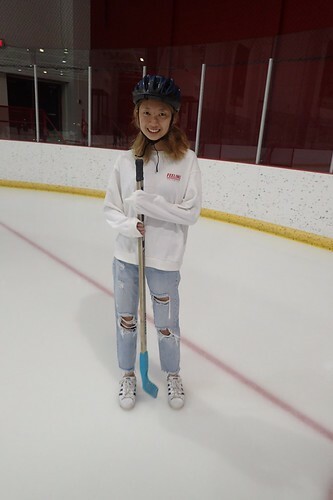 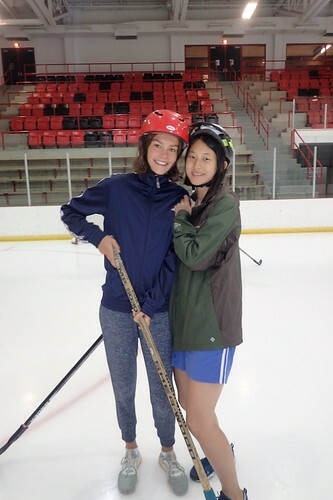 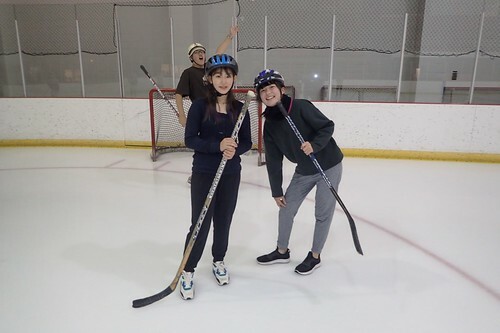 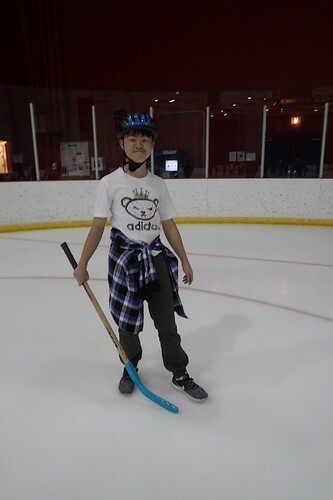 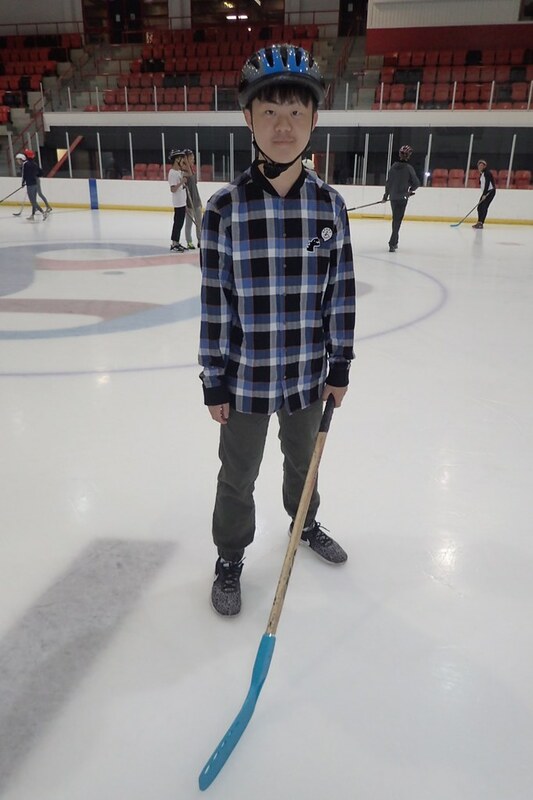 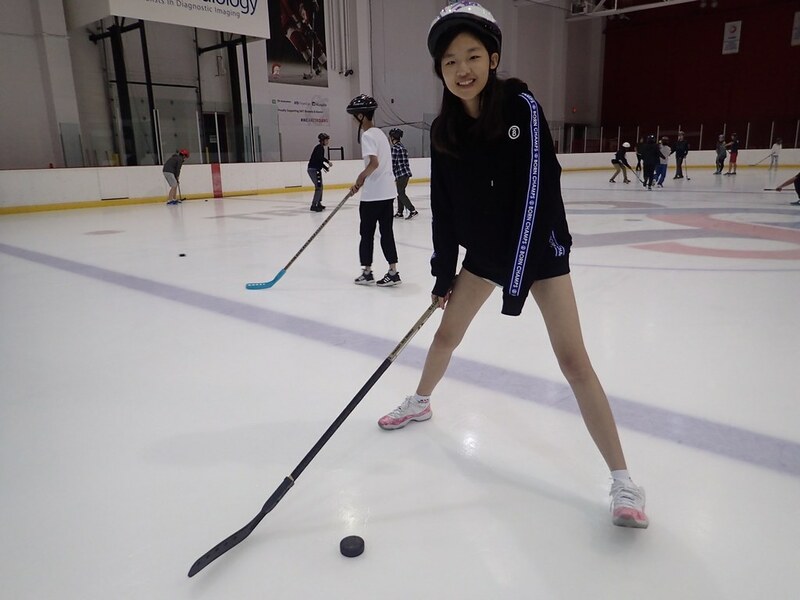 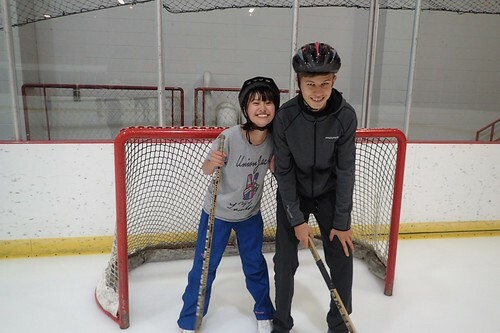 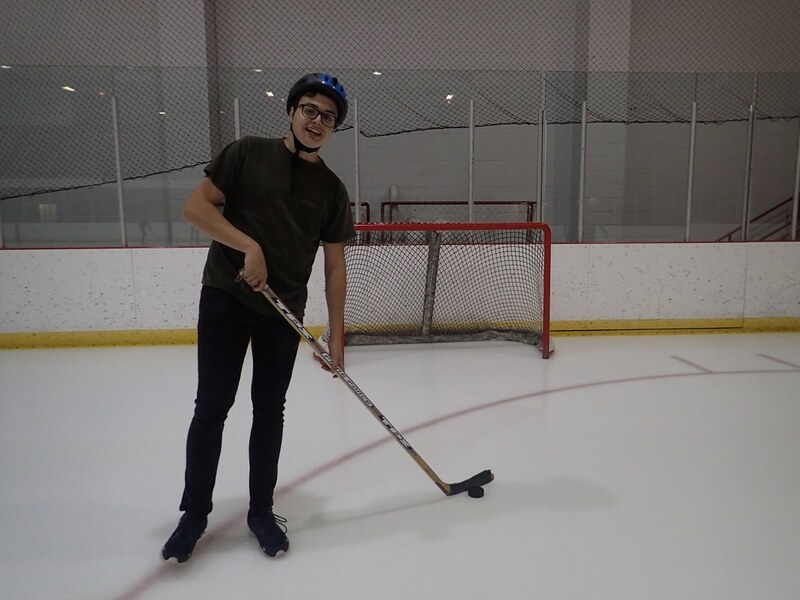 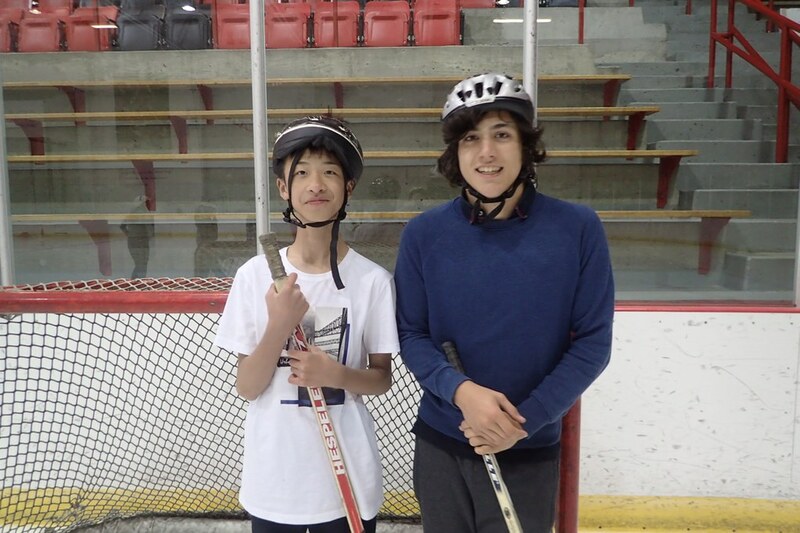 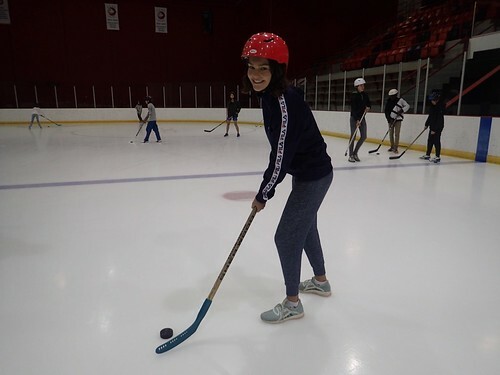 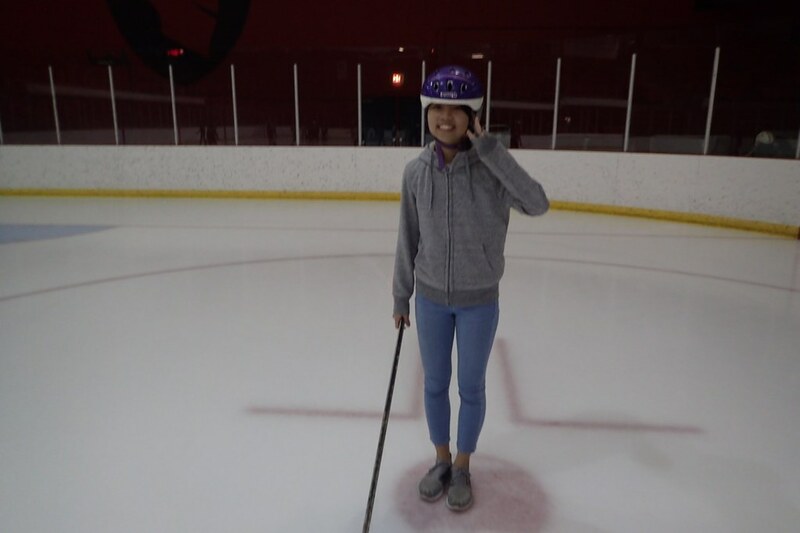 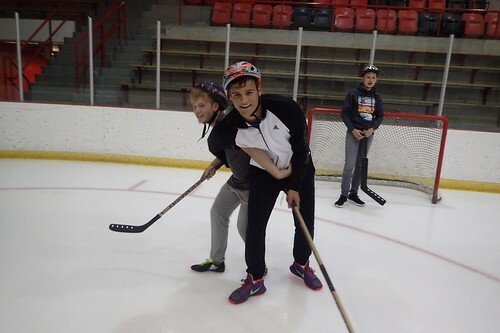 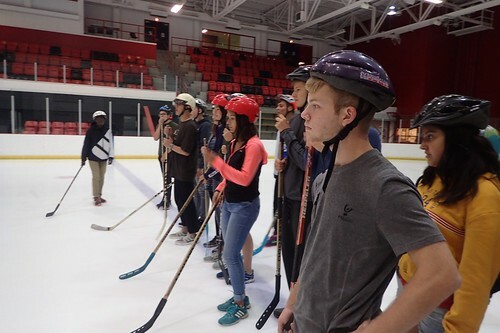 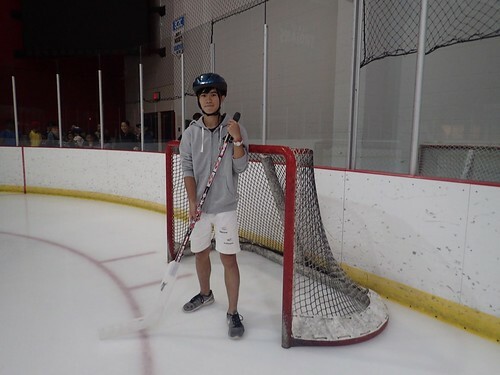 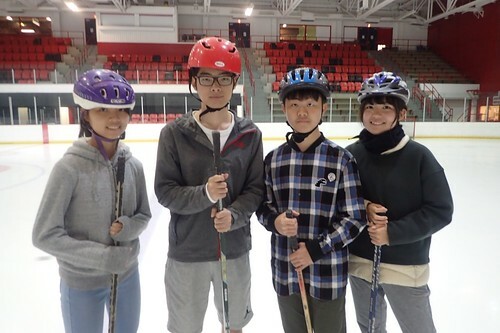 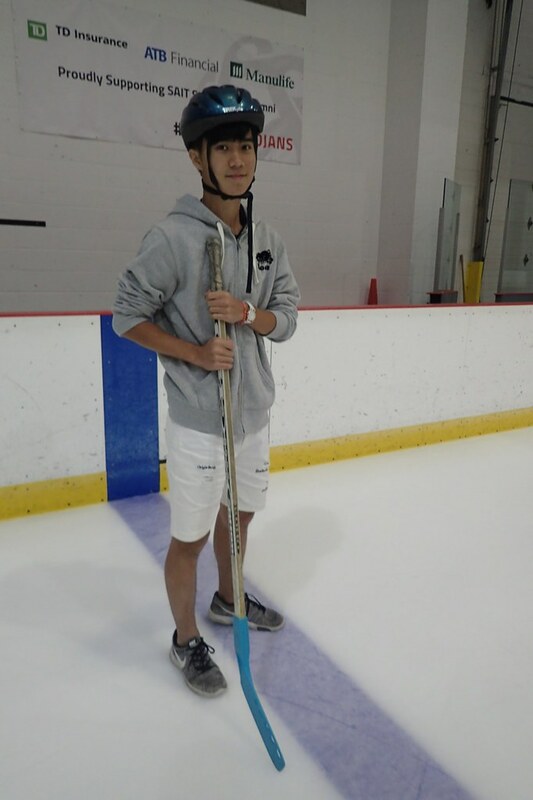 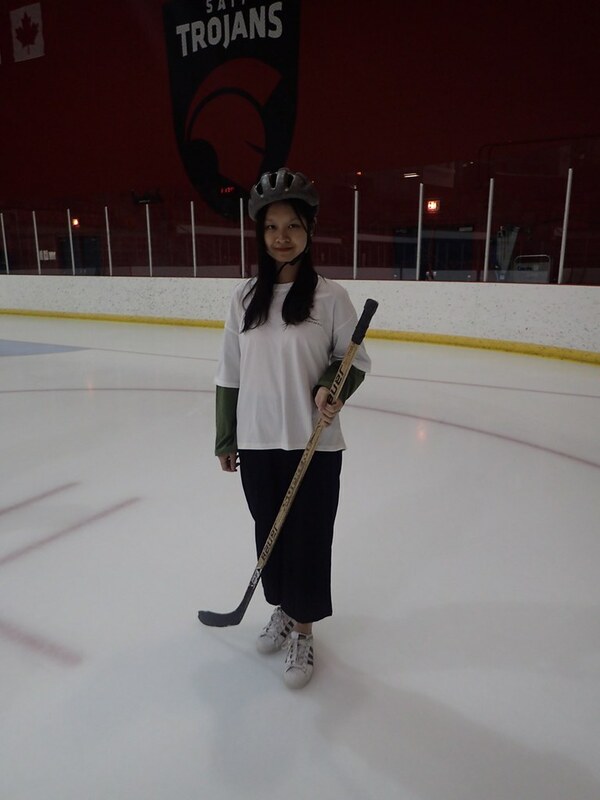 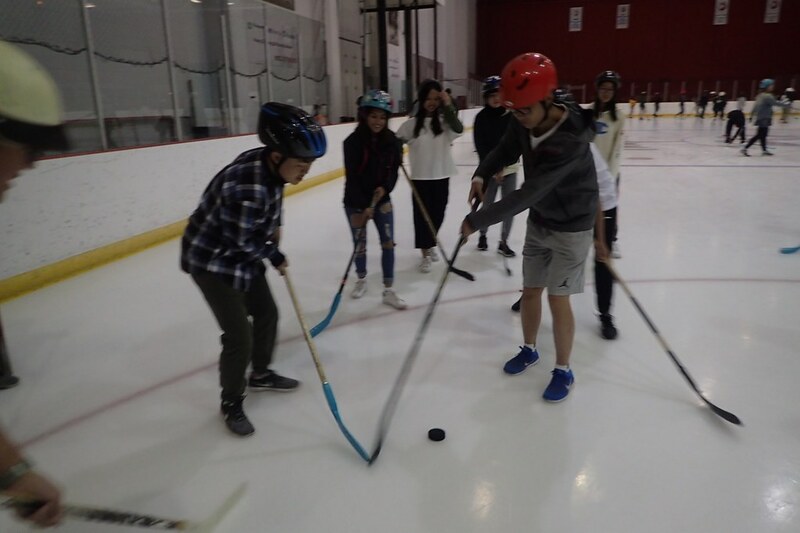 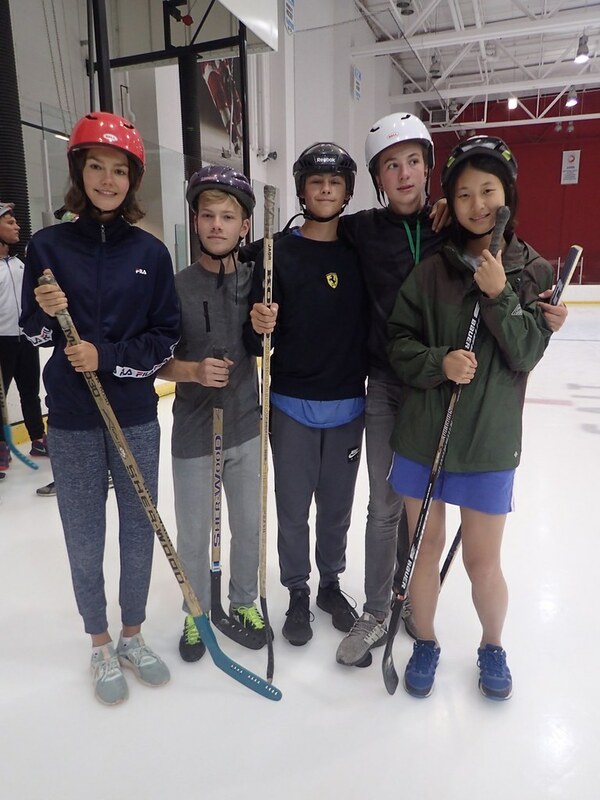 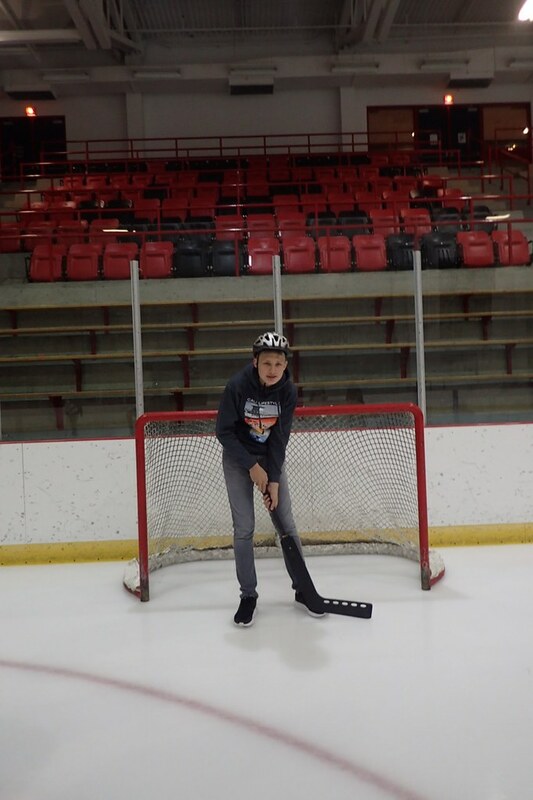 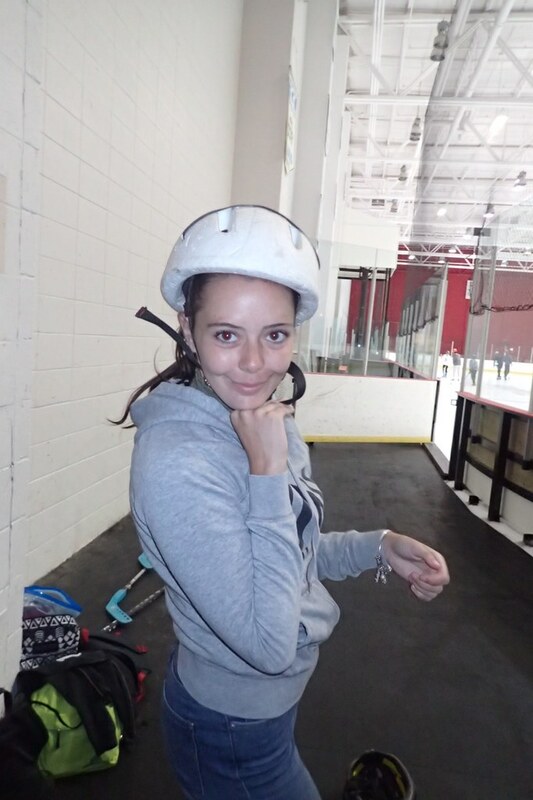 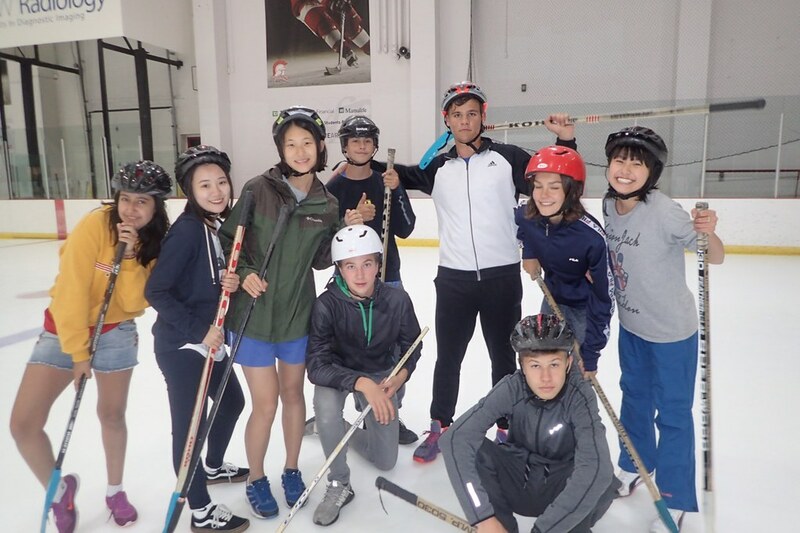 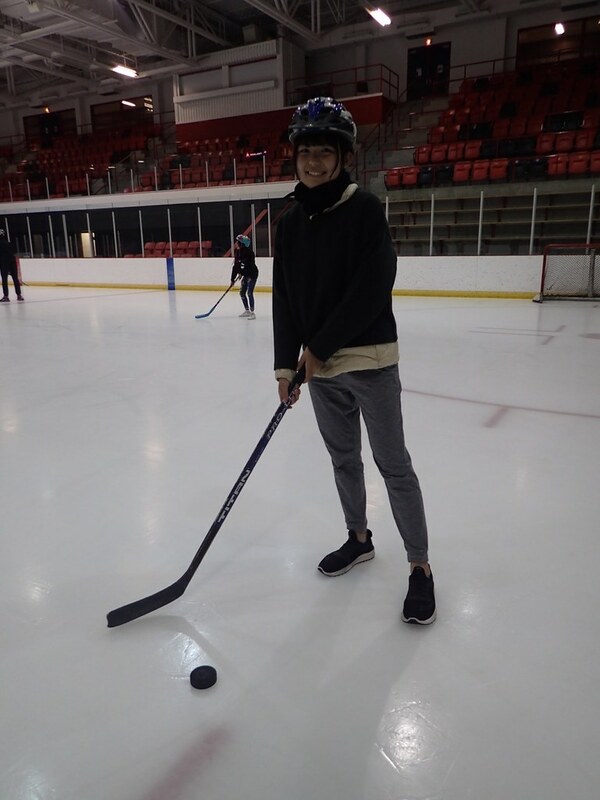 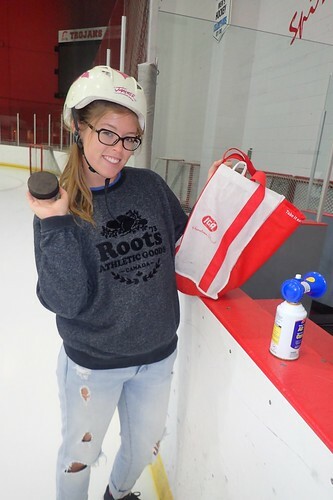 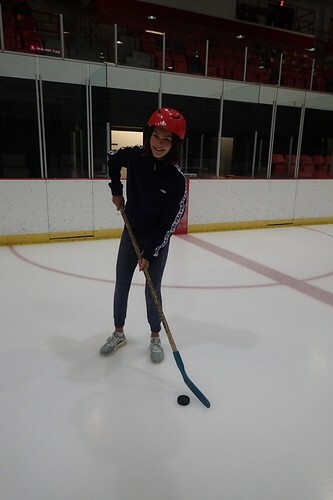 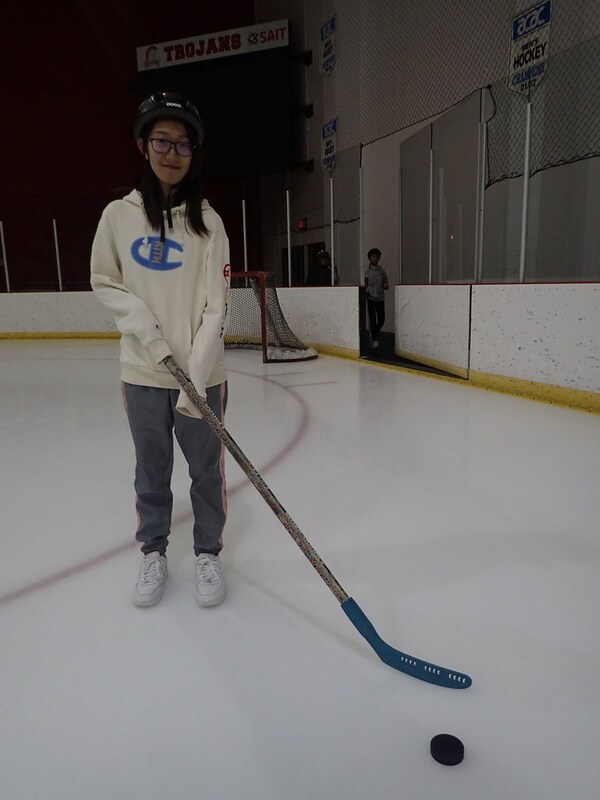 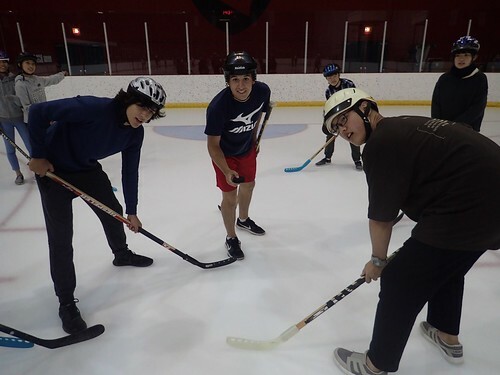 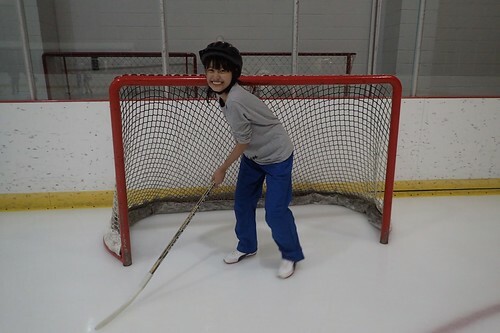 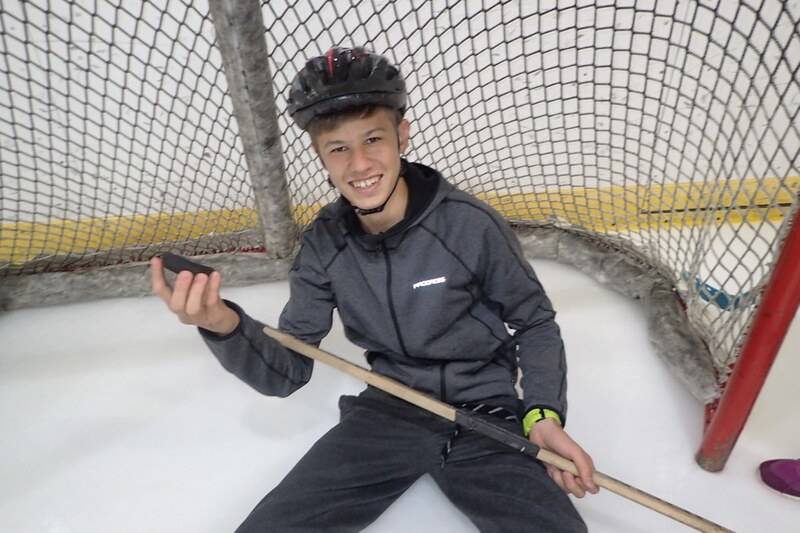 Although the lessons were very interesting, the students could barely sit still because they were so excited to try Canada’s national sport, hockey! 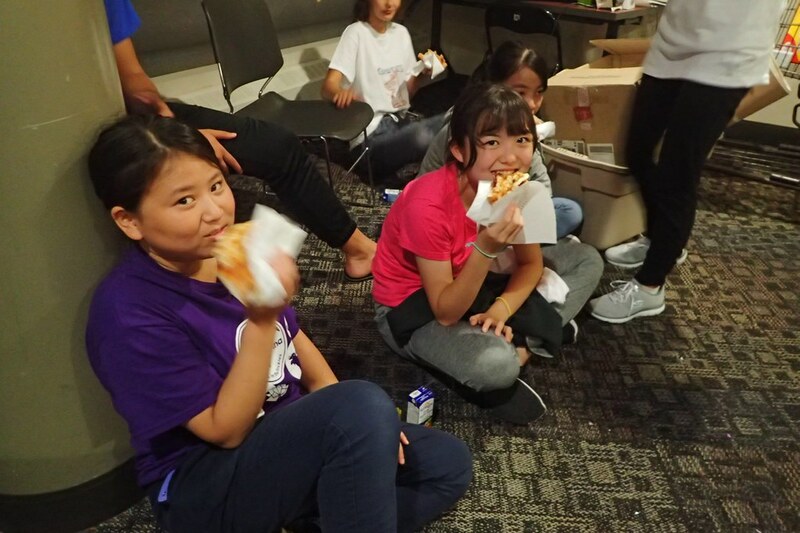 After some drills and a game, the Owls’ stomachs were growling and they devoured lunch at Happy Hut. 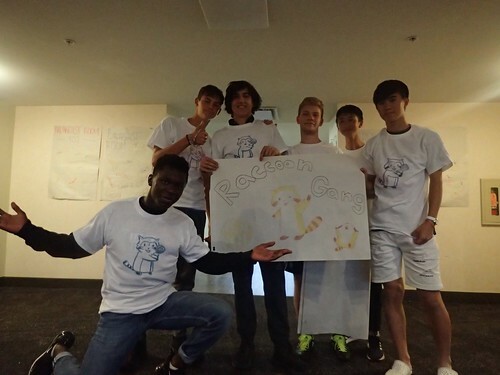 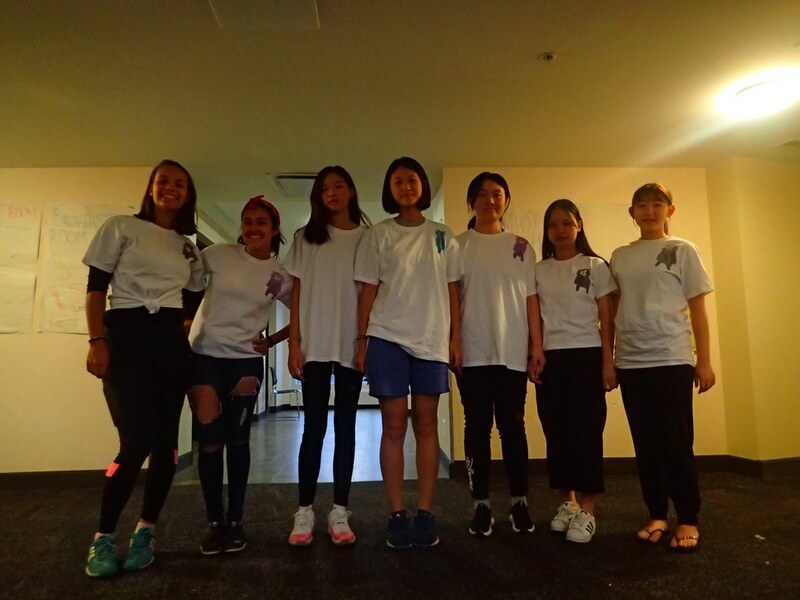 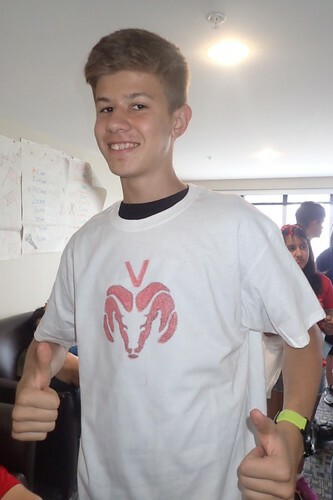 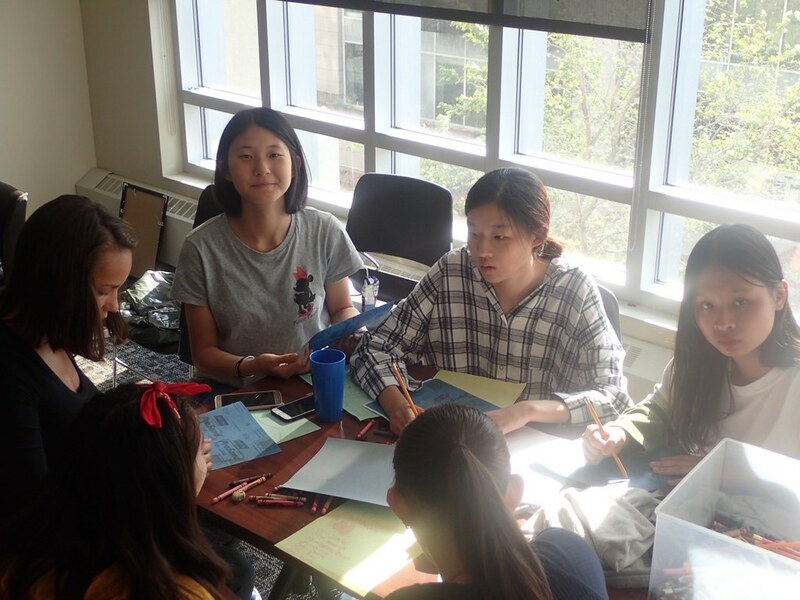 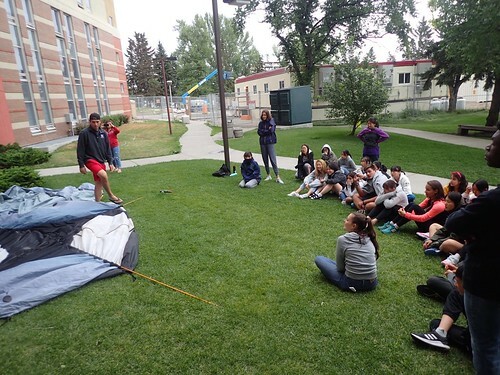 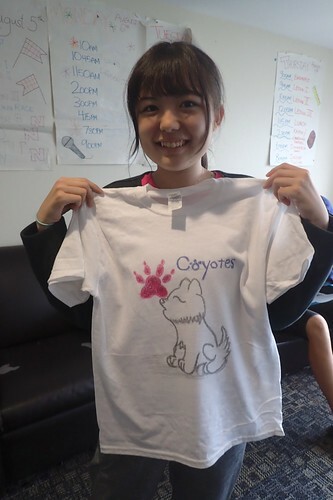 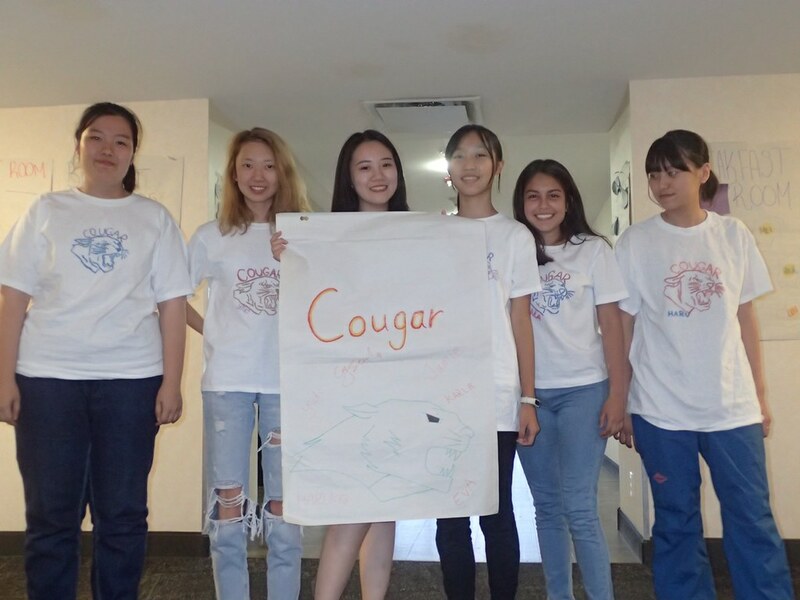 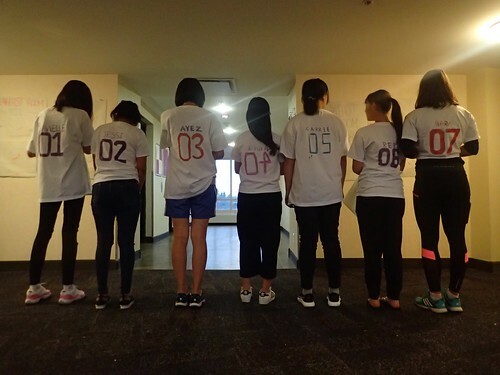 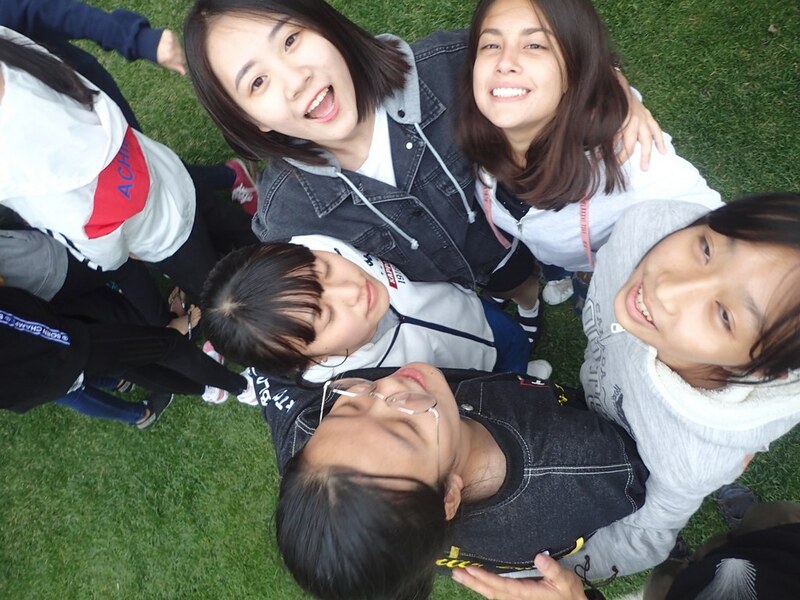 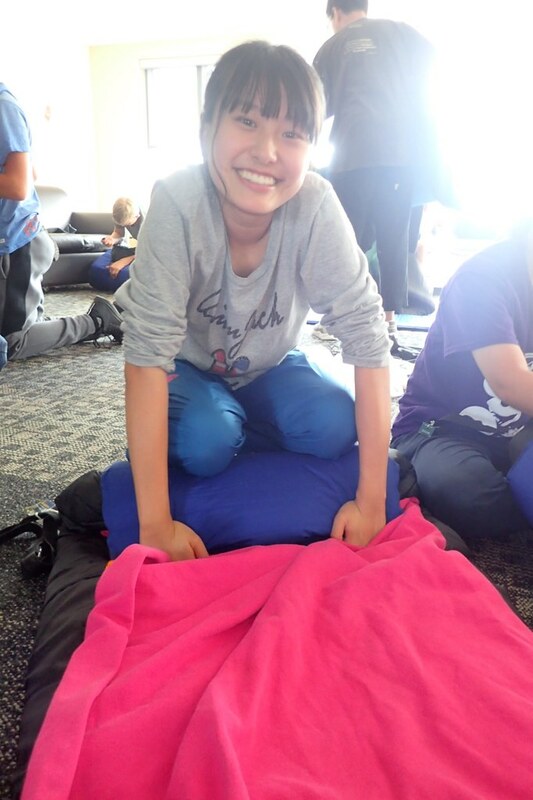 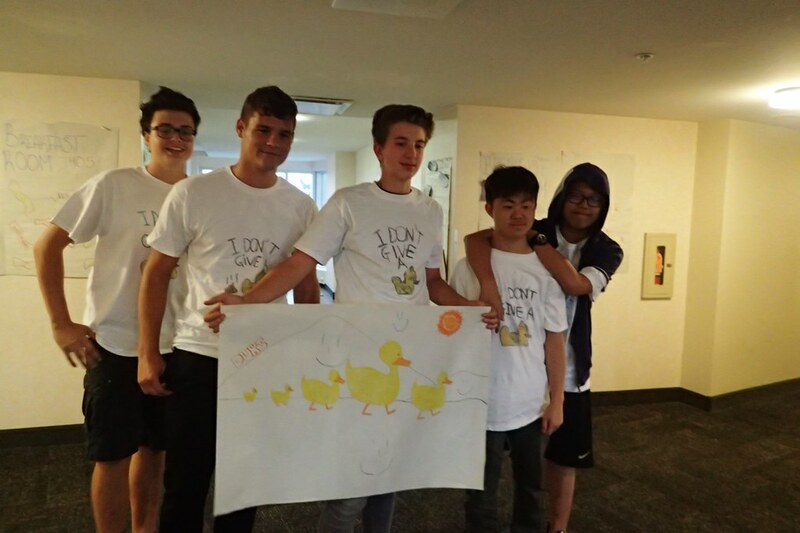 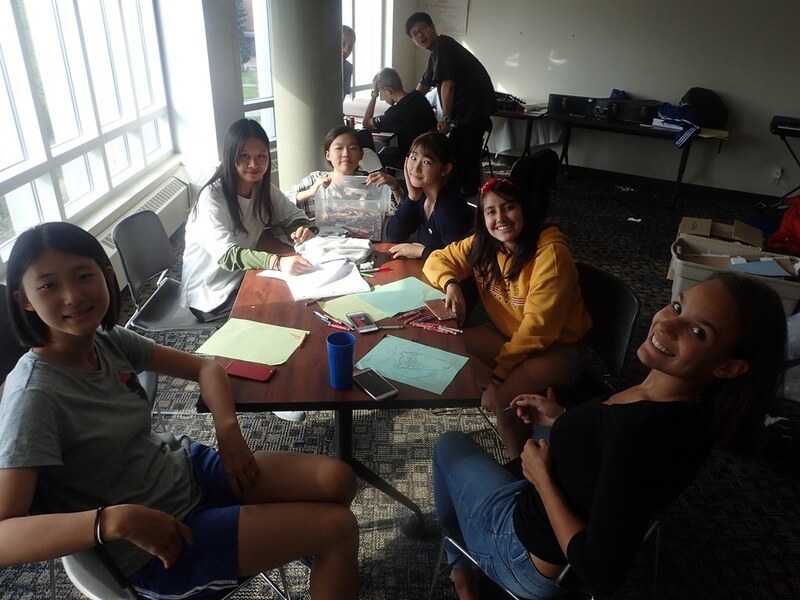 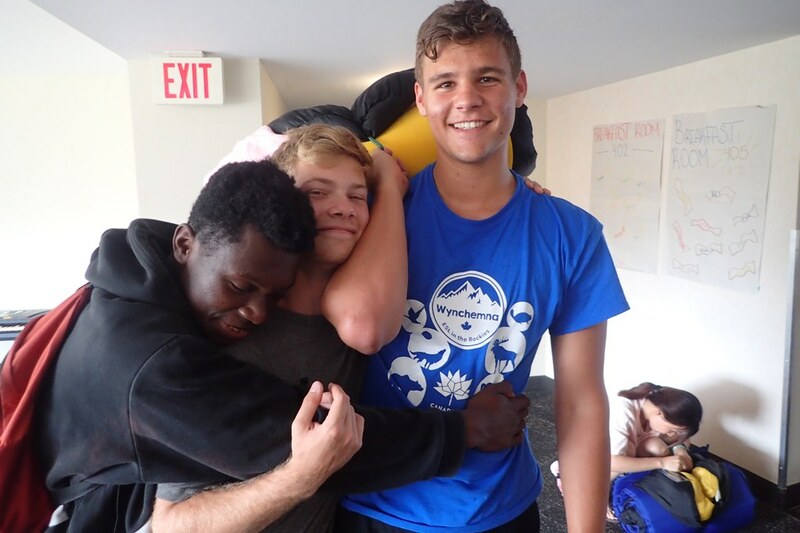 After lunch, they got into their tent groups and made T-shirts, songs and posters. 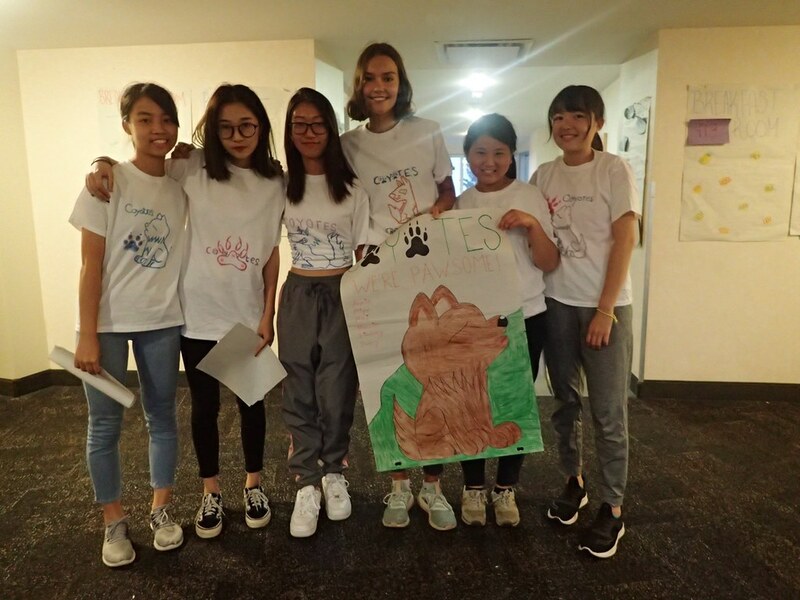 After the students each took turns presenting their hard work, the stage was filled with clapping, singing and cheering! Even though our judges (teachers) were tough, the everyones hard work really paid off and we had an amazing show! 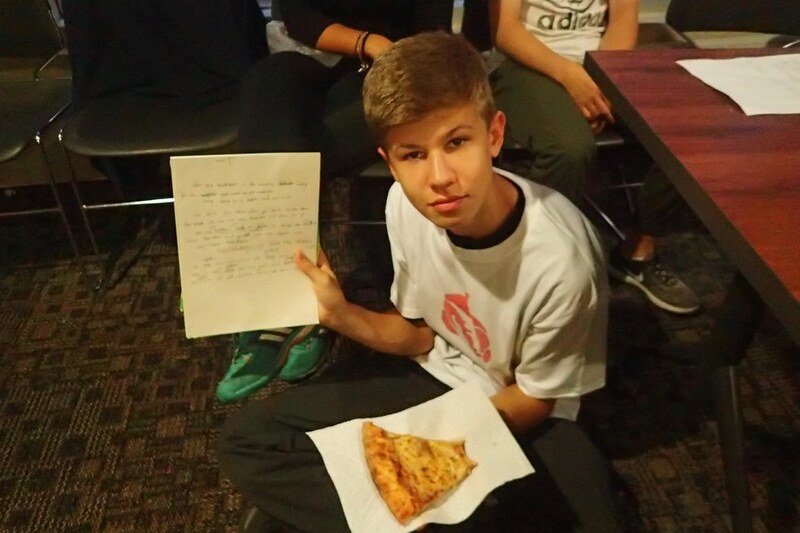 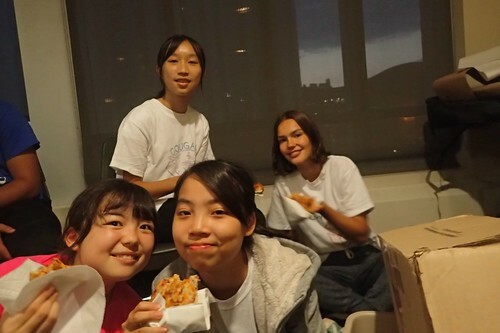 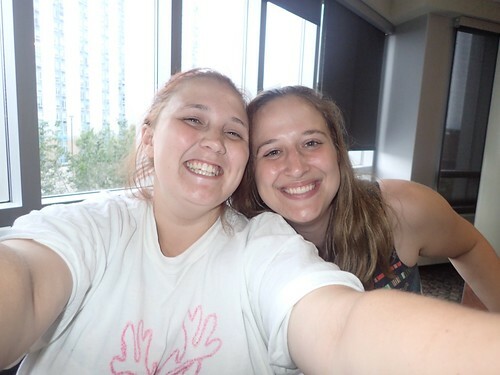 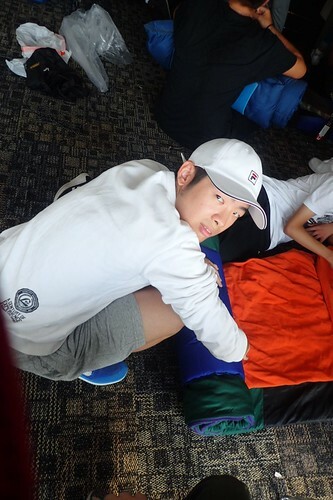 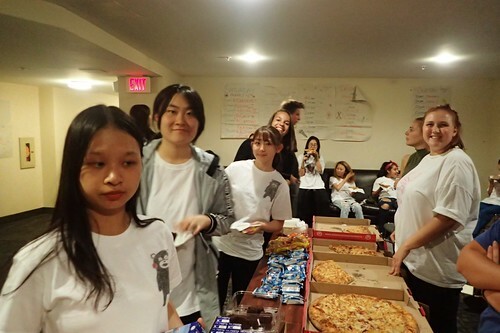 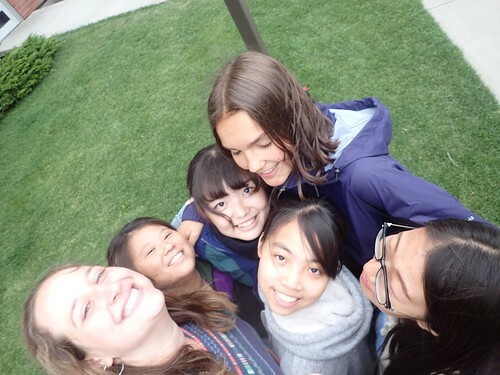 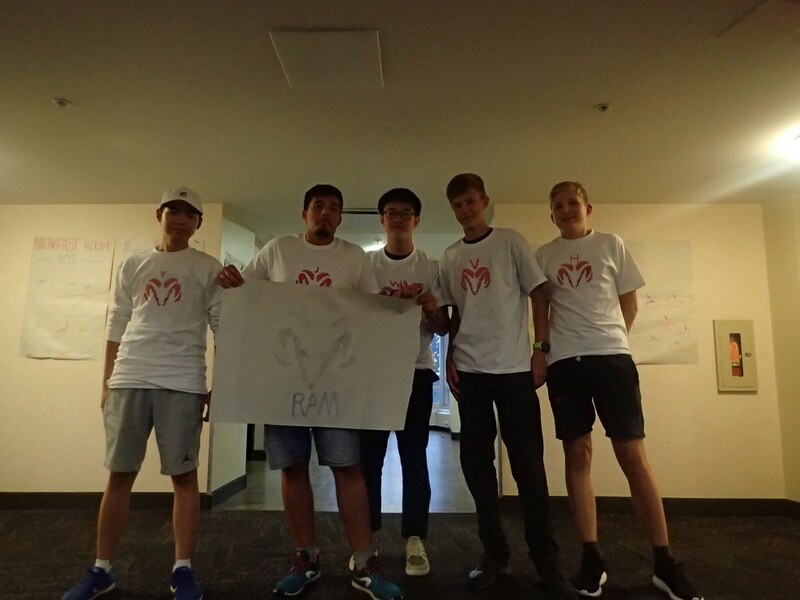 After the competition was over, we had some pizza and snacks before heading off to bed. 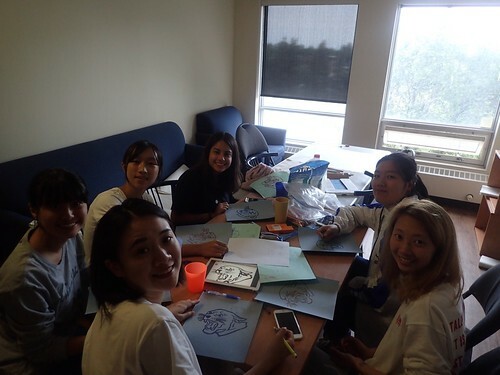 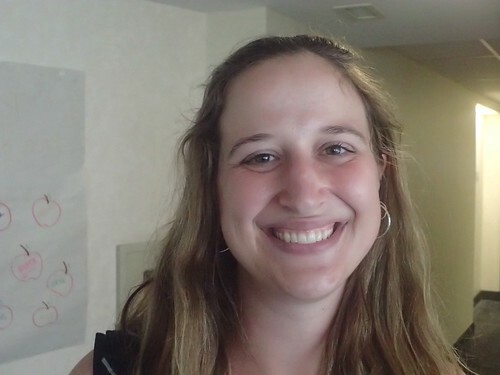 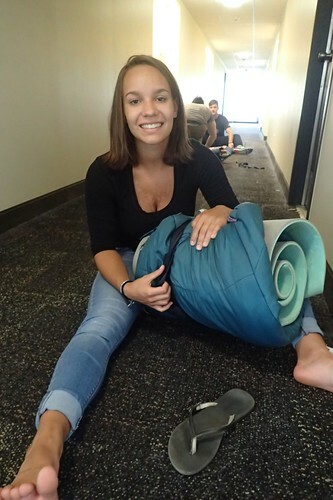 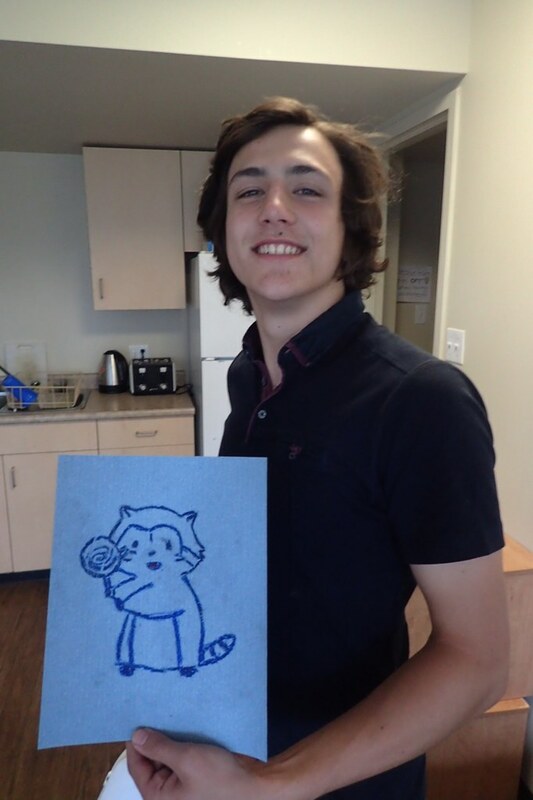 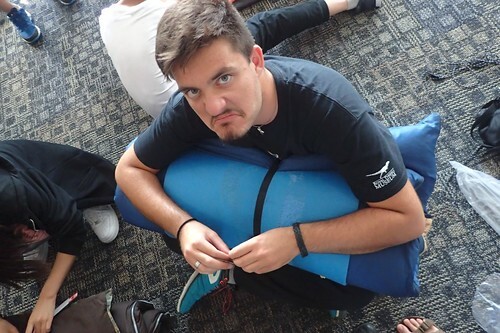 Another fun-filled day at Wynchemna lies ahead!